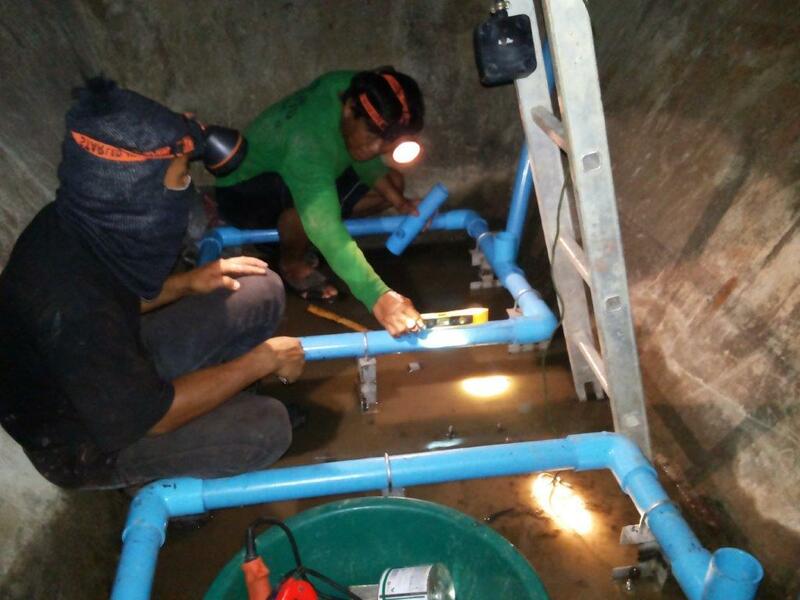 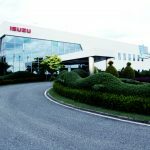 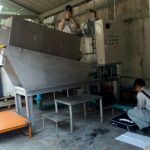 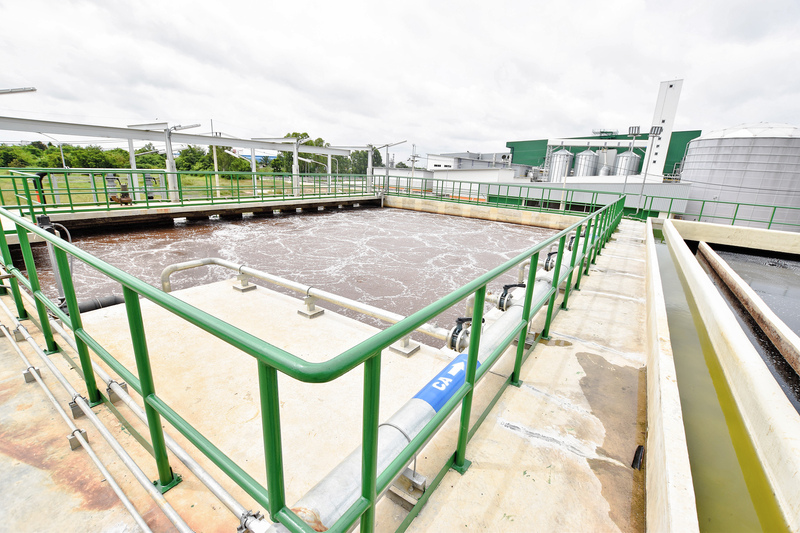 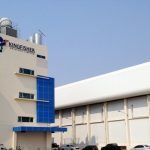 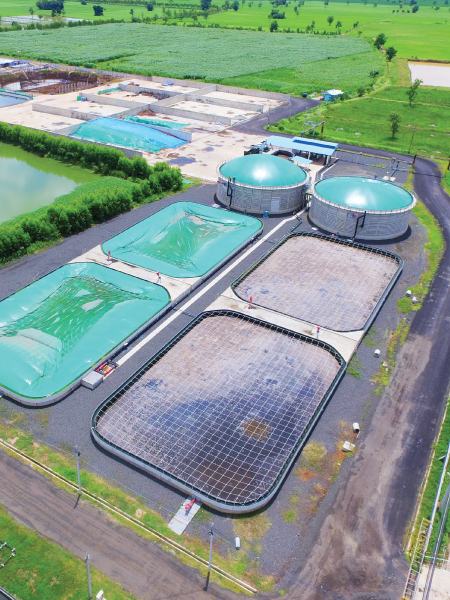 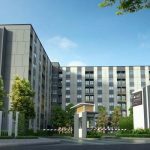 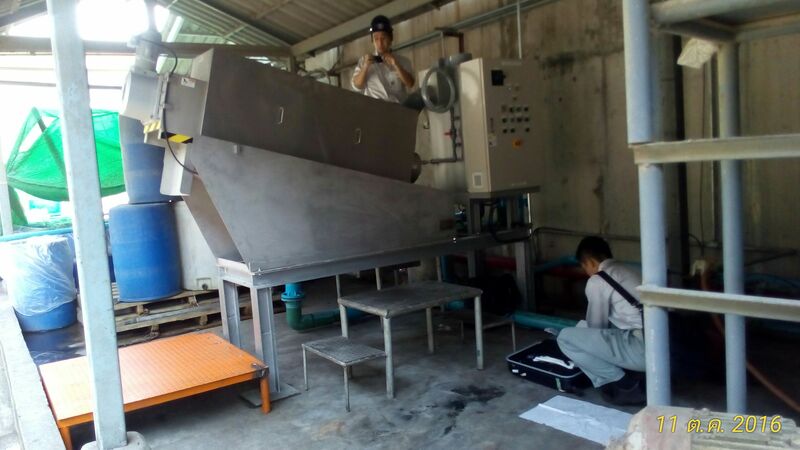 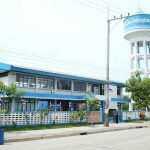 AQUA Nishihara Corporation Limited also well-know in turnkey engineering project for project in wastewater treatment plant and waste to energy our business in cluded consultant, design, survey, Water treatment construction and setup plant. 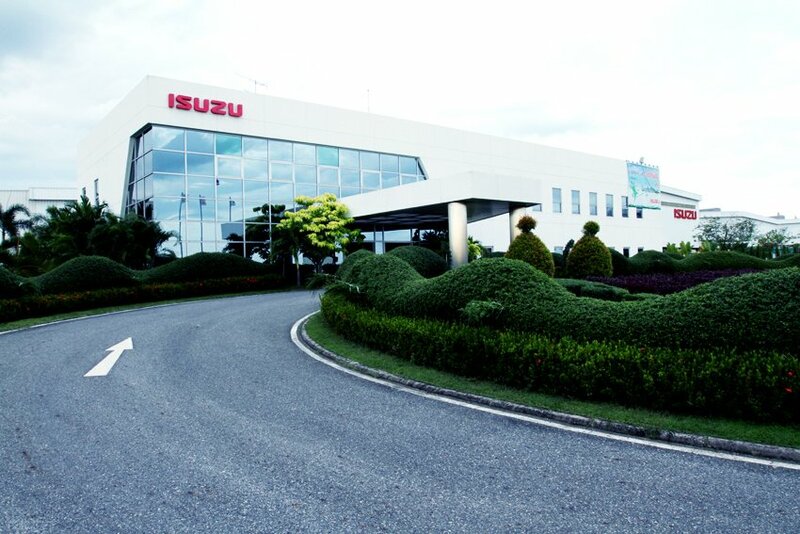 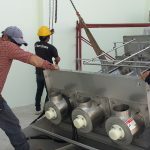 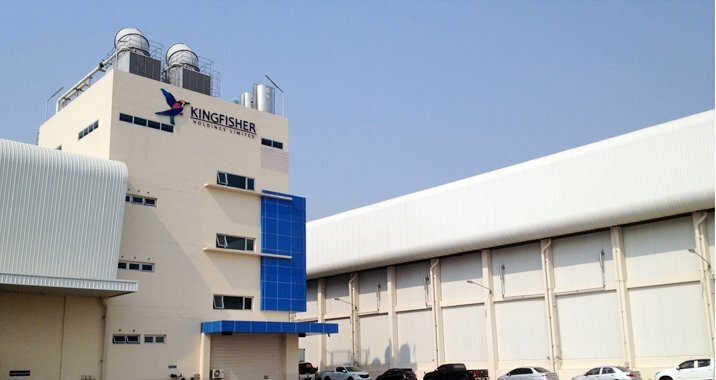 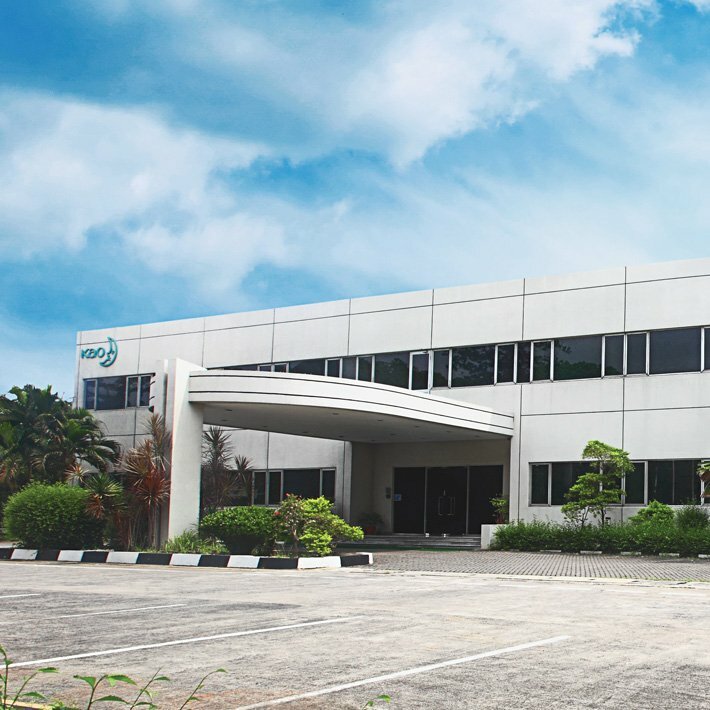 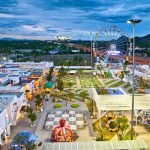 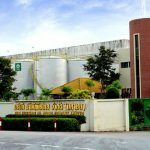 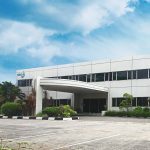 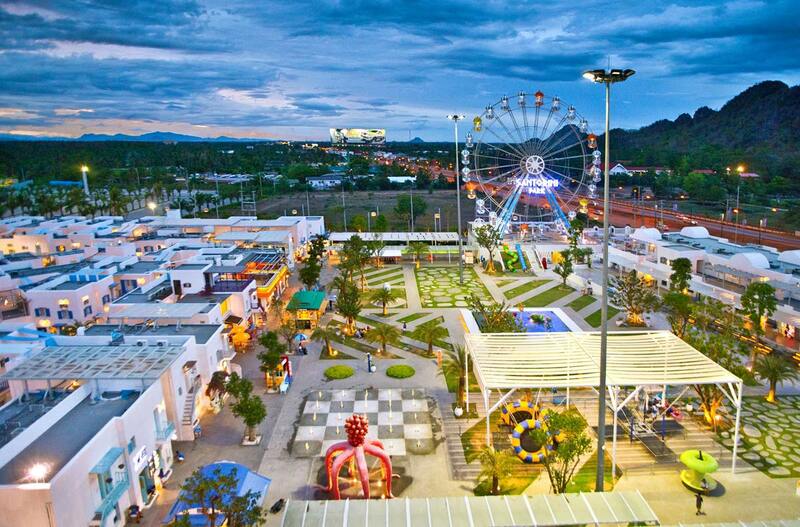 With our three decades experience and expert engineering and scientist team, We never cease to develop a new innovation in environmental engineering to assure our valued customer. 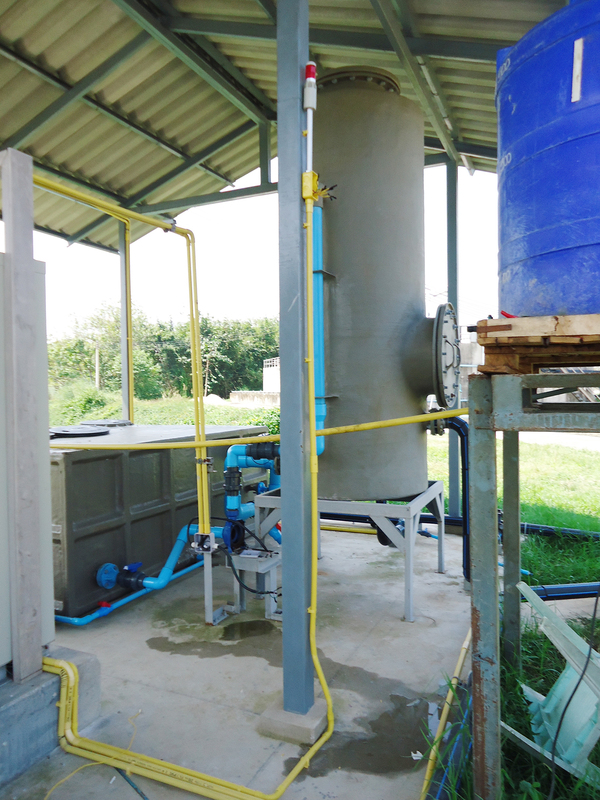 Featured : Oxygen adding by air blower and also stirring with Submersible Mixer. 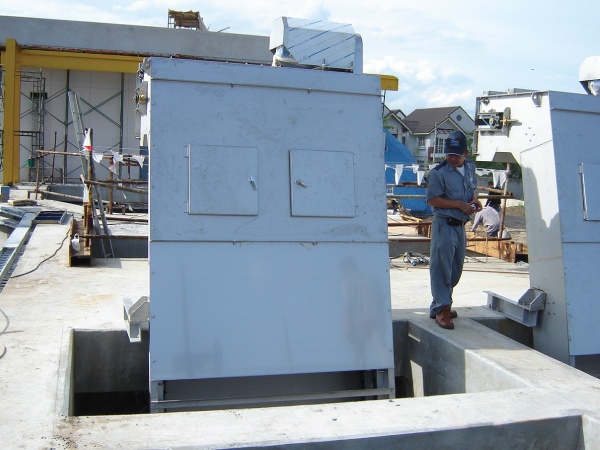 The system saves energy for air supply. 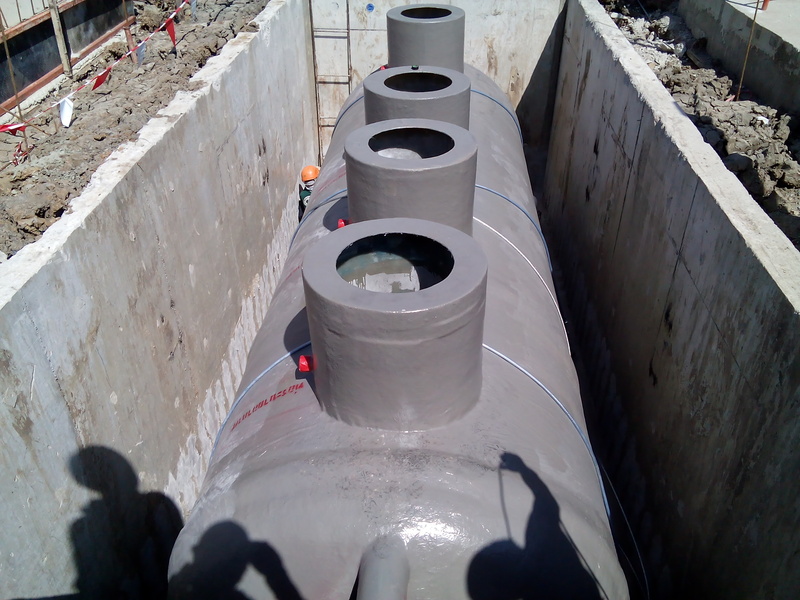 Moreover, MBR system is used so the treated water can be recycled. 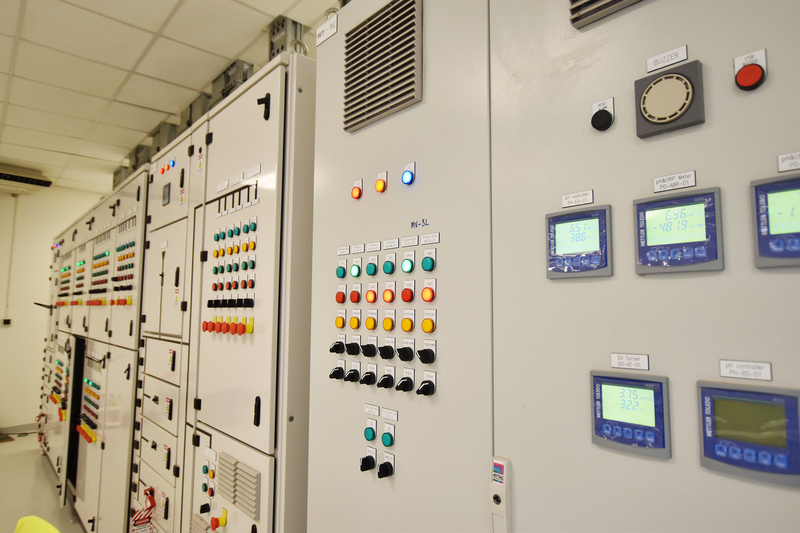 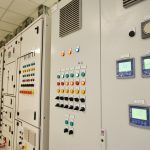 Technical : An AT Controller series of Fussy Logic controls the duration of time required to fill the air for the microorganisms in the required quantity for microorganism used. 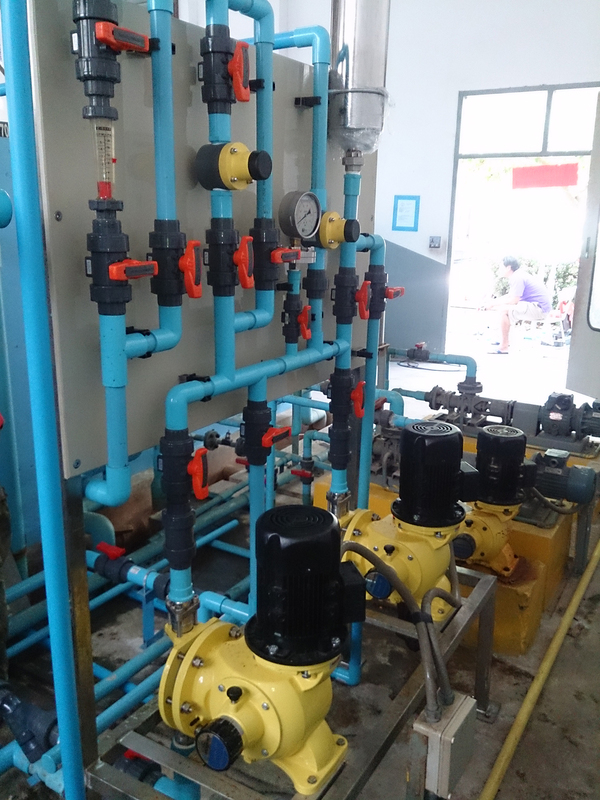 (Oxygen Uptake Rate). 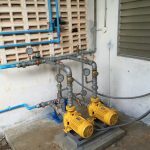 Consequently, Oxygen dispensed so it was used efficiently and left unused. 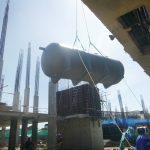 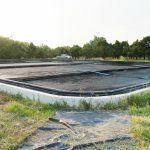 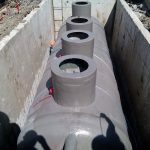 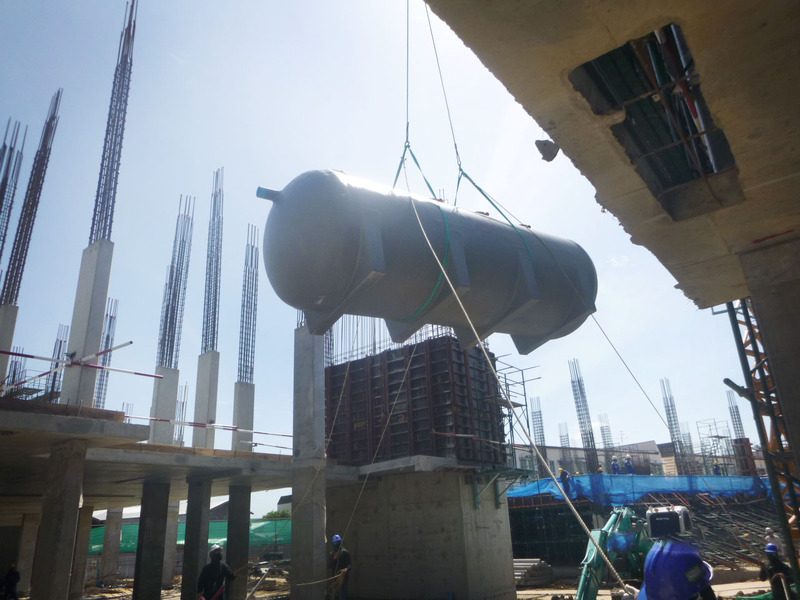 Project Description : The Anaerobic Baffle Reactor (ABR) system has a baffle inside the pond to direct the flow of waste water so it will increase the retention time in the pond. 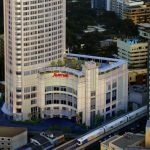 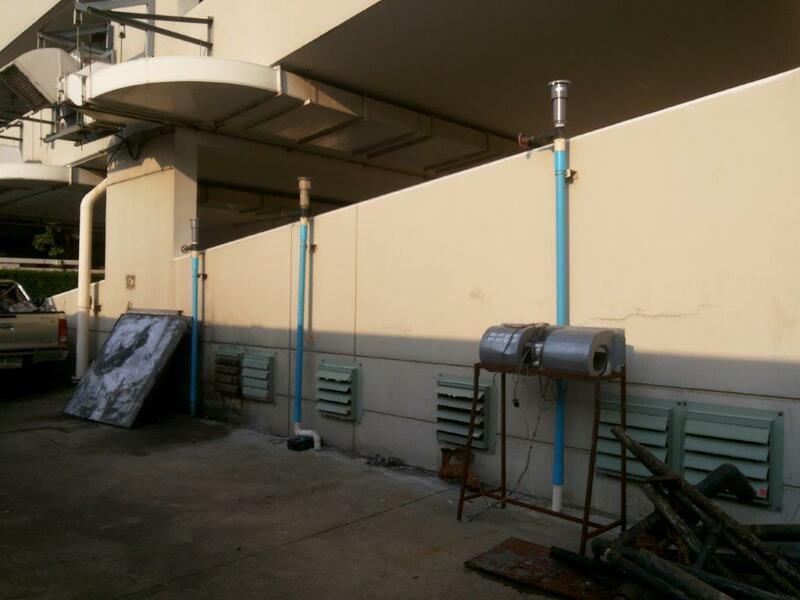 In addition, an efficiency for this system will be higher. 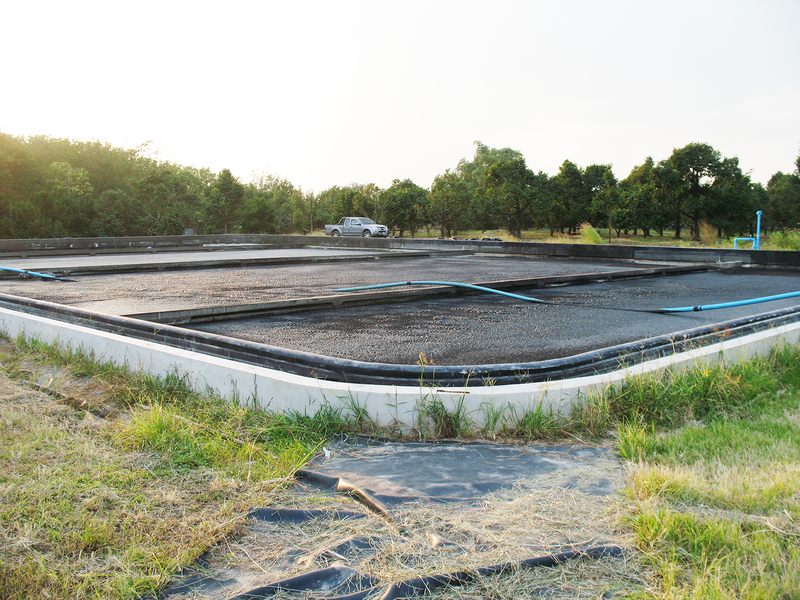 Intermittent Aeration MBR (IA-MBR) has an anoxic tank and aeration tank in the same pond so an efficiency will high an also energy saving. 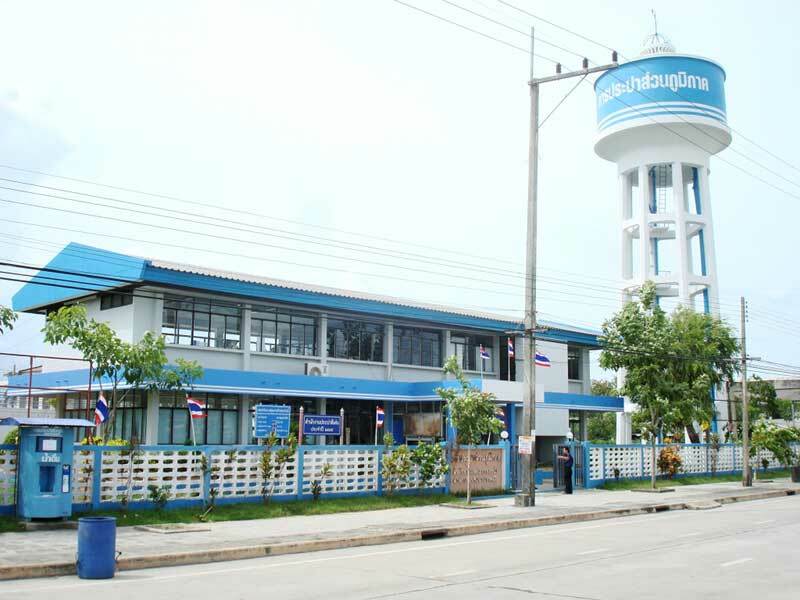 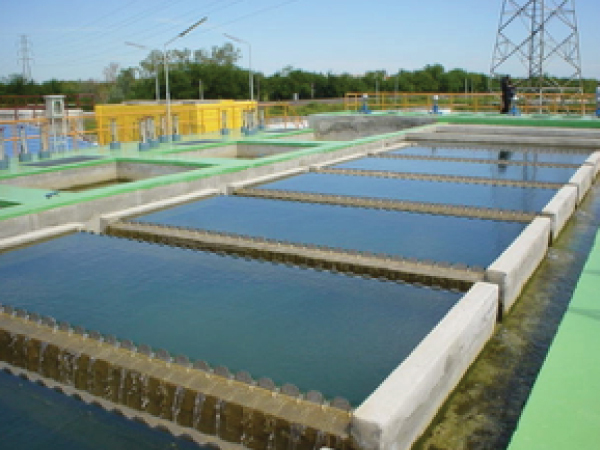 Furthermore, ultra filtration membrane is also used to separate solids and turbidity from water. 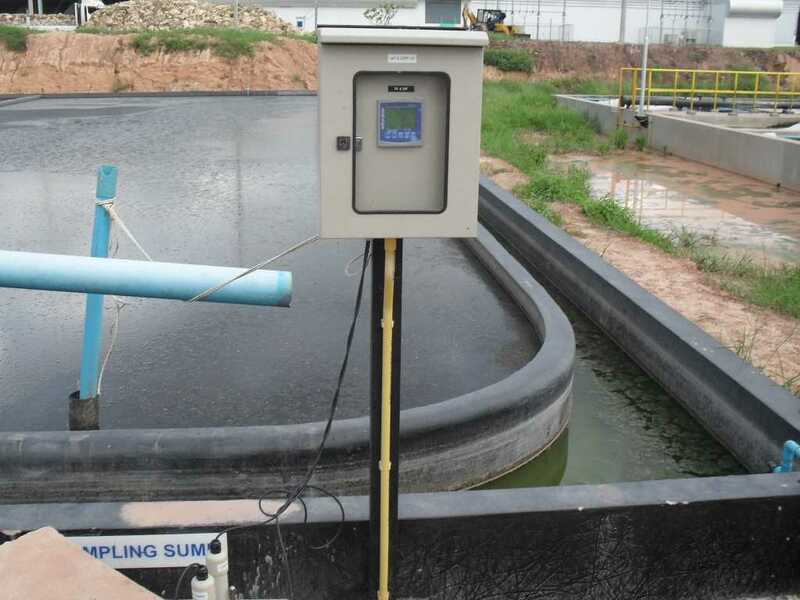 Featured : Submersible aerator, No noise, No need installation area, area saving for good atmosphere. 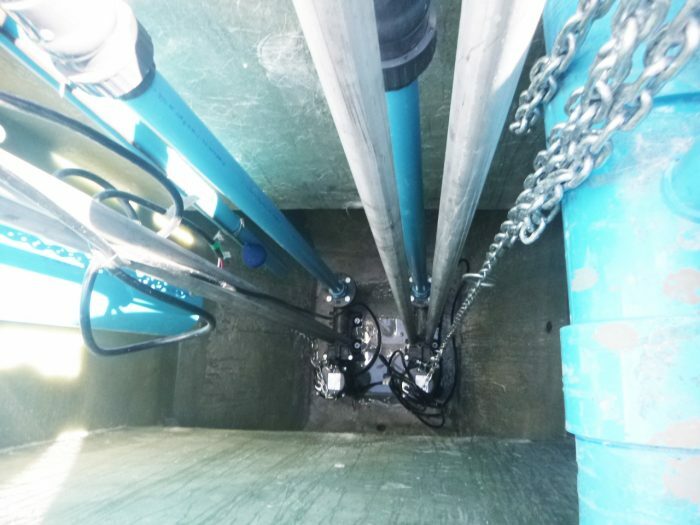 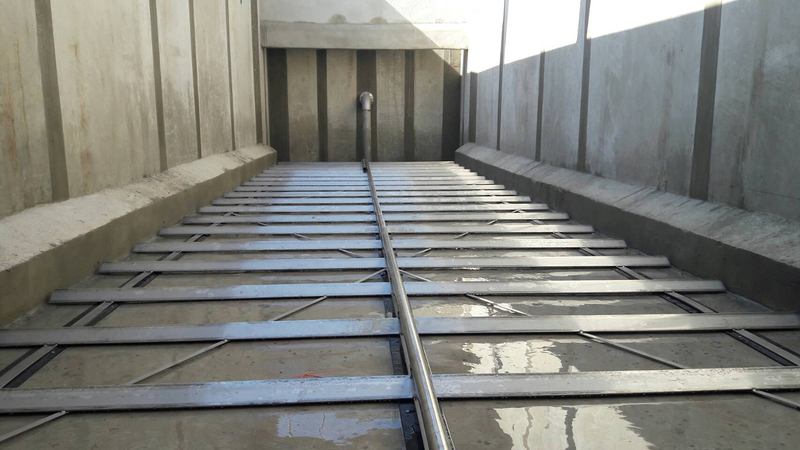 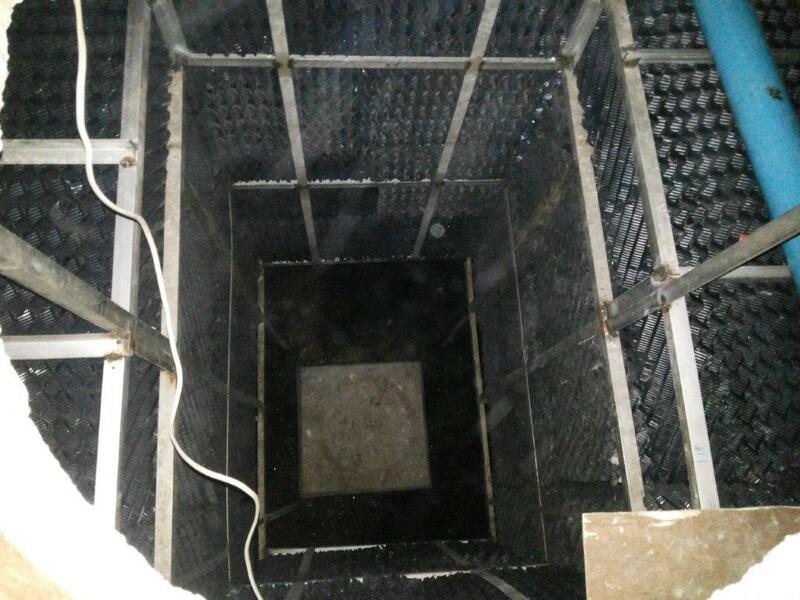 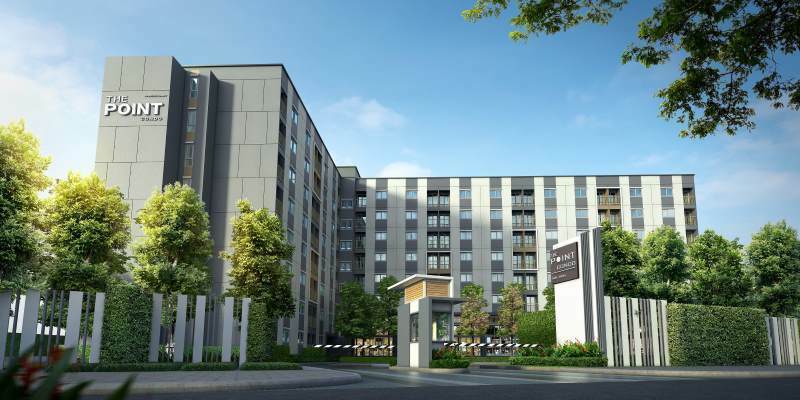 Project Description : High efficiency with Fixed-Film Aeration system with random flow media, high quality and stability for treated water to make sure that will pass the standard of domestic wastewater. 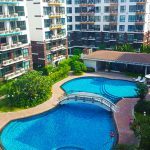 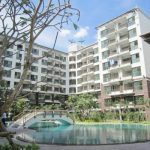 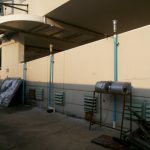 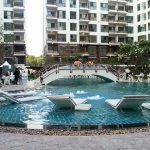 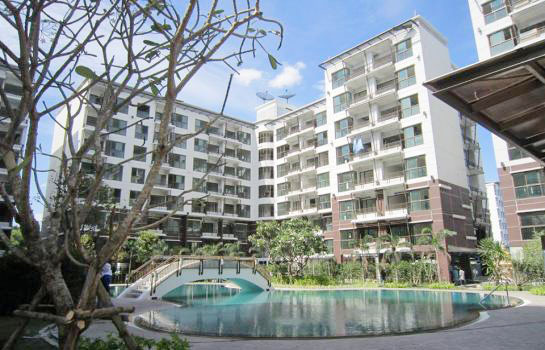 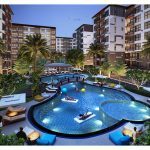 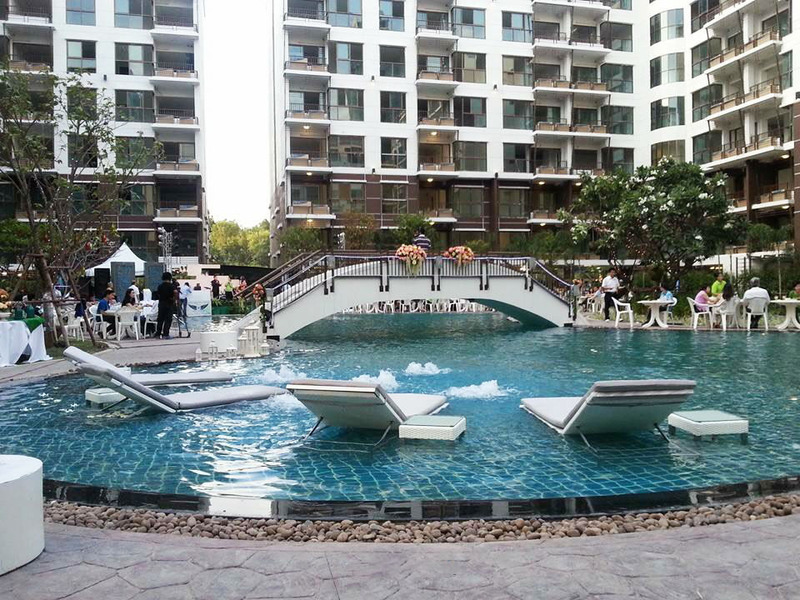 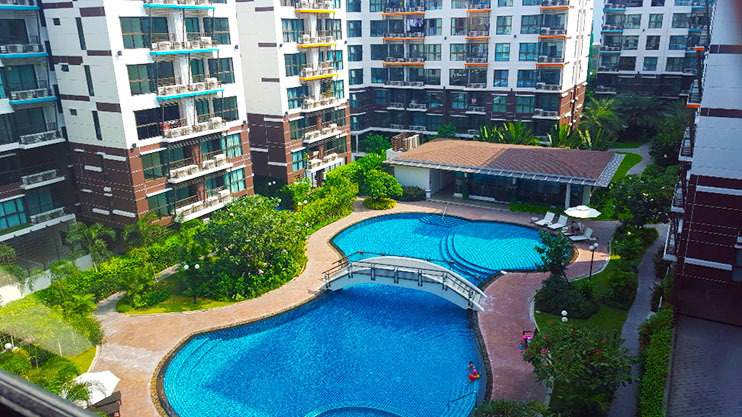 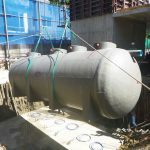 Featured : Aerobic system will used with silent air blower by a vertical tank shape which special design from AQUA around garden and swimming pool, no noise to disturb the natural atmosphere. 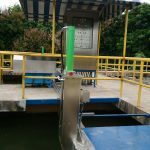 Featured : Submersible aerator with silencer, No need installation area, area saving for good atmosphere. 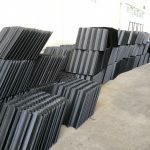 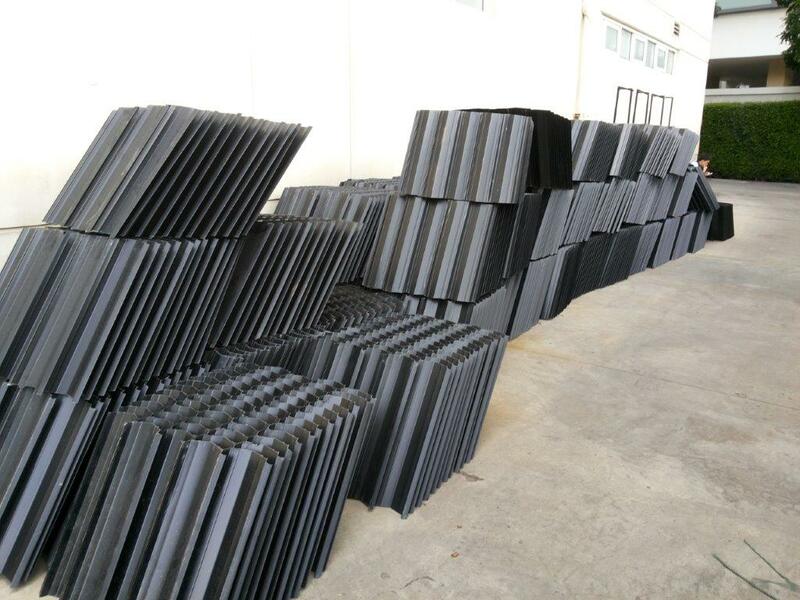 Technical : Special design for plastic media, area saving for good atmosphere also minimize the tank size but the same efficiency. 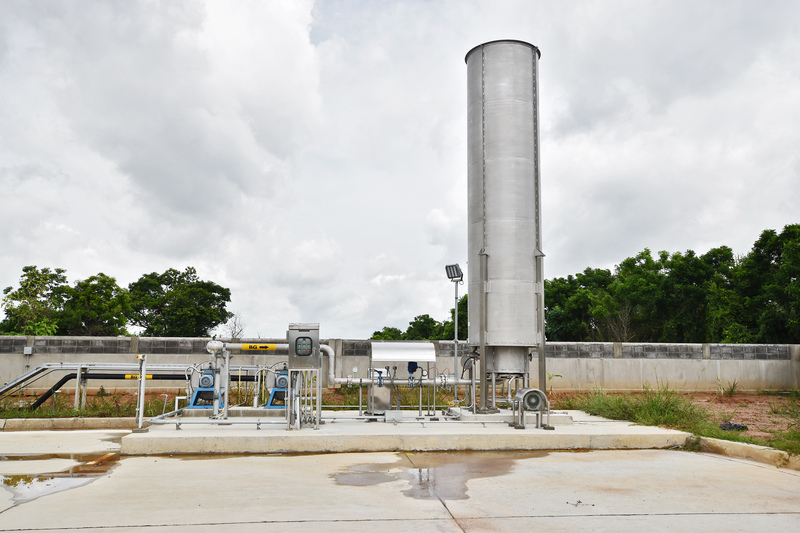 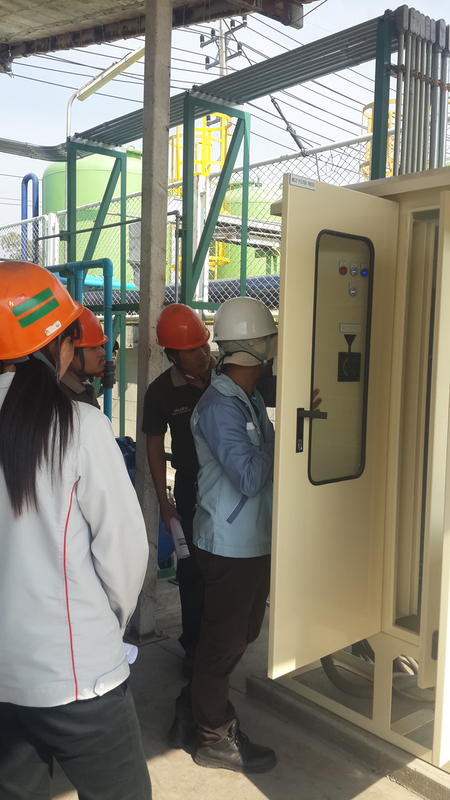 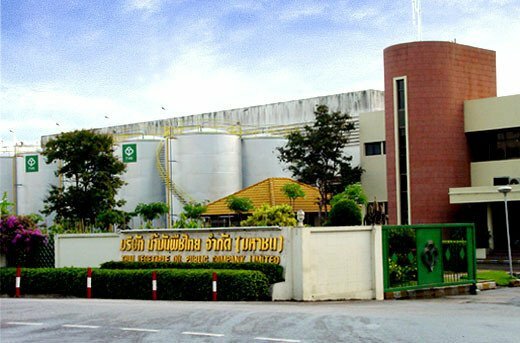 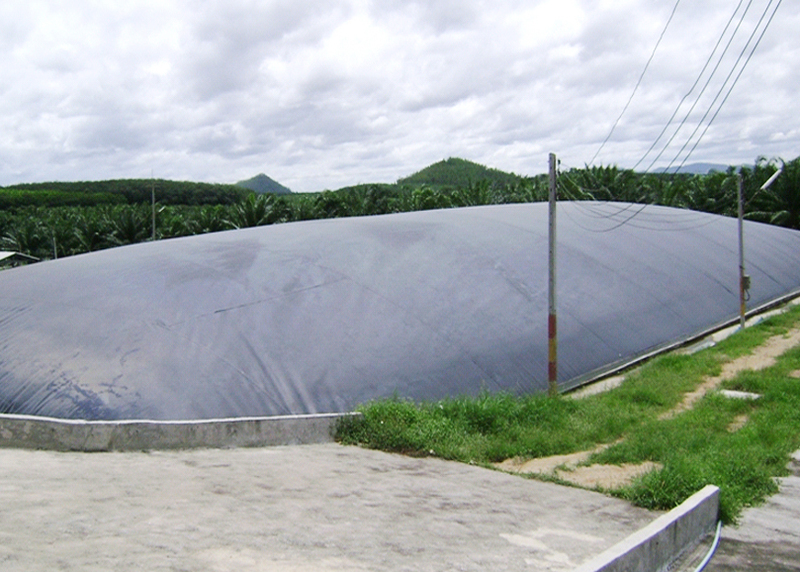 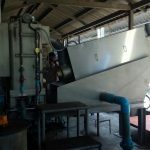 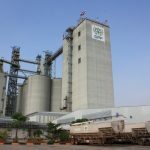 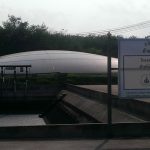 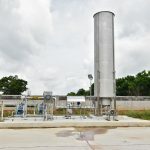 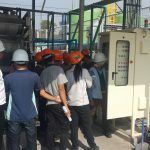 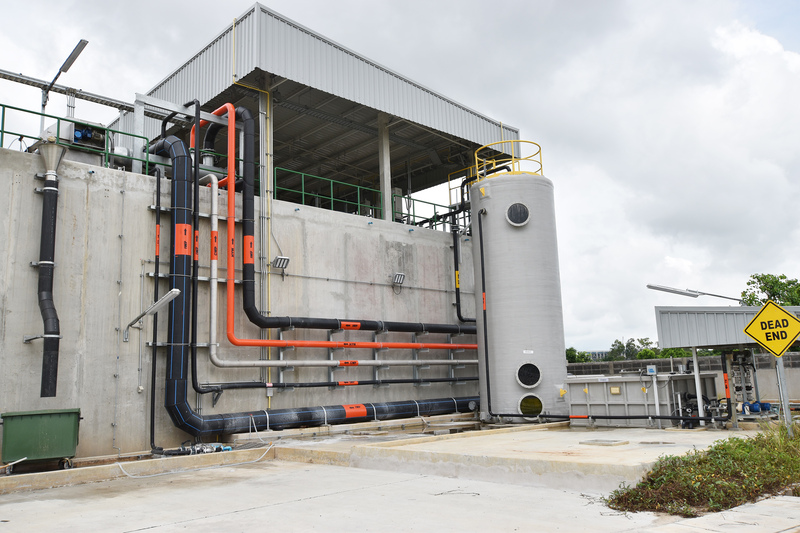 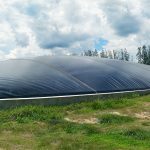 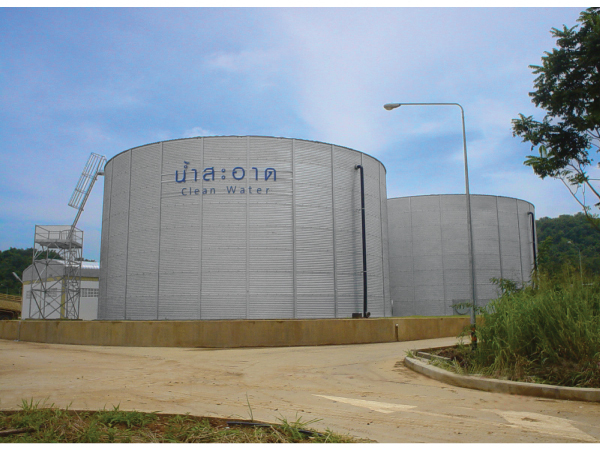 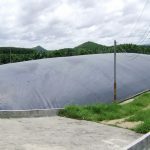 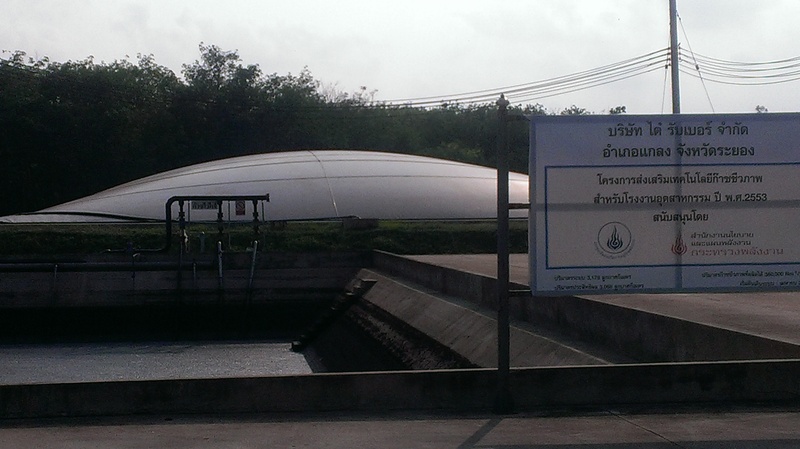 Featured : Get benefits from biogas for cost saving, 900 Nm3/d biogas production. 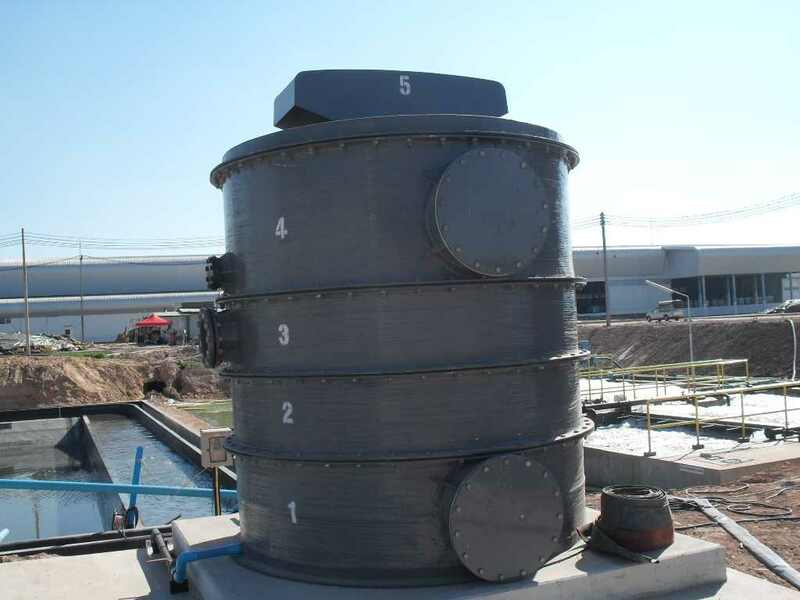 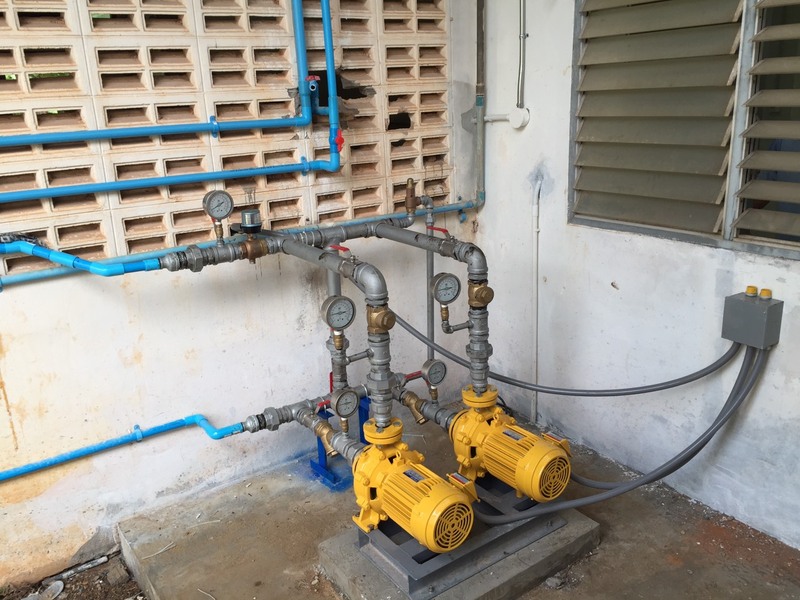 Project Description : Anaerobic Baffle Reactor(ABR) will used in this project for support the flow variation which cause from the vary amount of rubber. 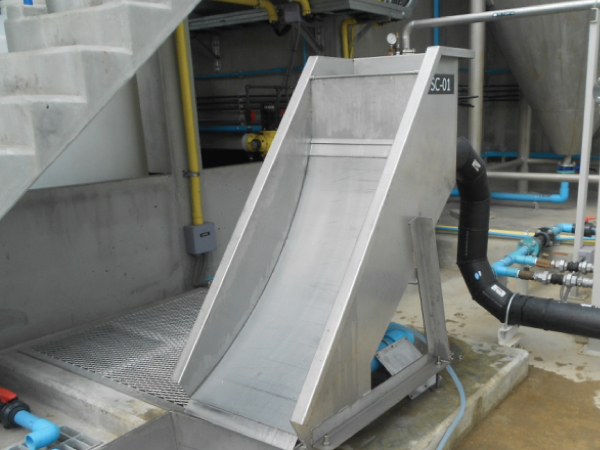 The baffle will used for flow direction setting and also increase retention time. 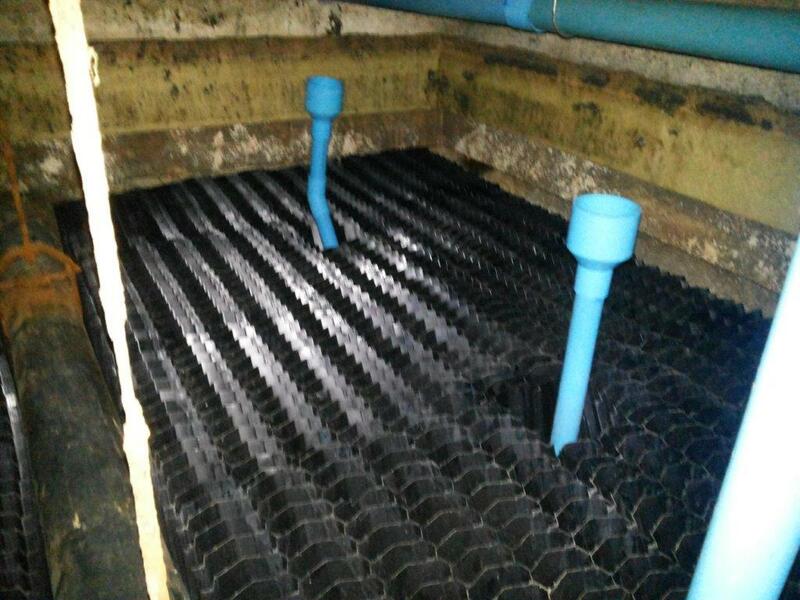 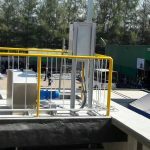 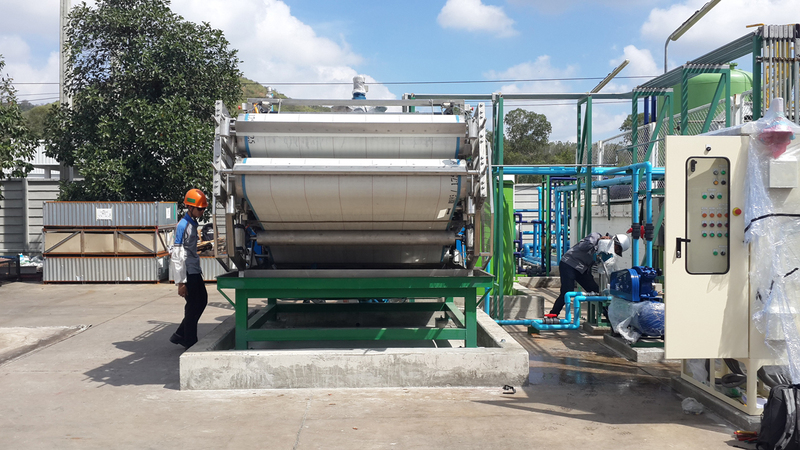 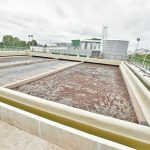 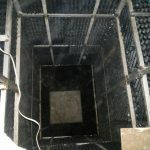 Moreover, fixed-film aeration system also be used which is high efficiency treatment system so you can ensure that the treated water will meet an effluent wastewater standard. 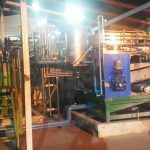 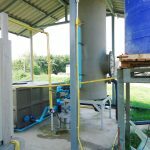 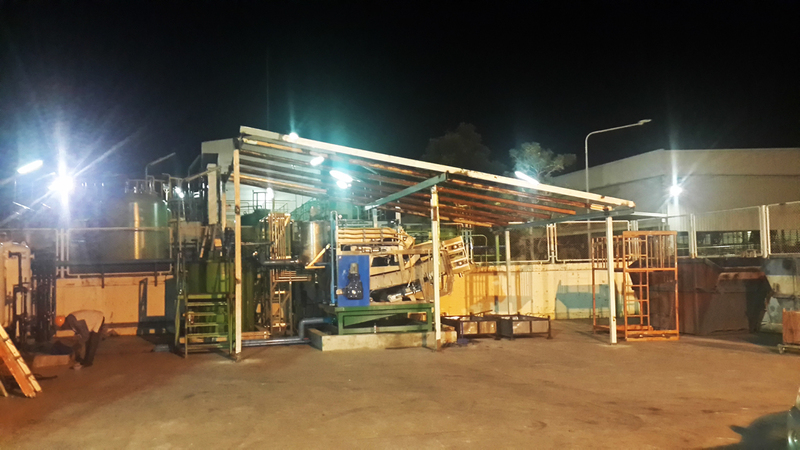 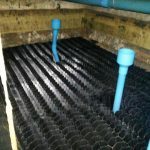 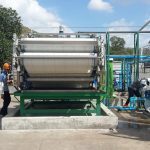 Featured : Fixed-film aeration system will used which Is an easy operation system but high efficiency and stability. 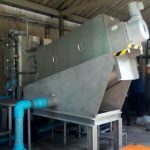 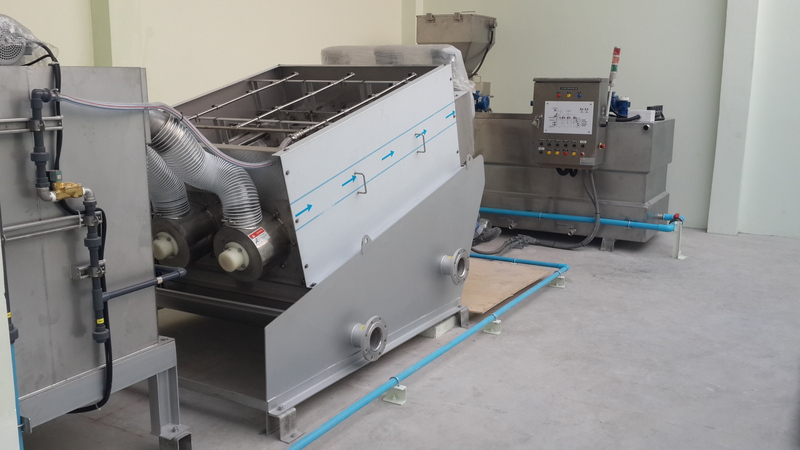 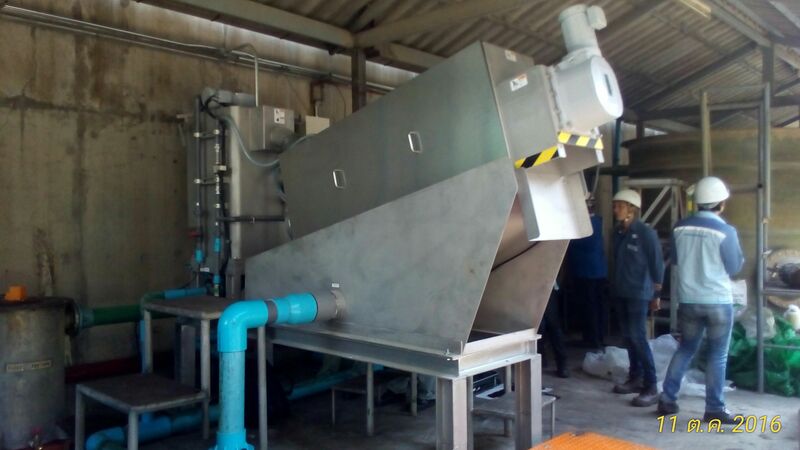 Moreover, enzyme feeding system also be used for grease digestion co-op with fixed-film aeration. 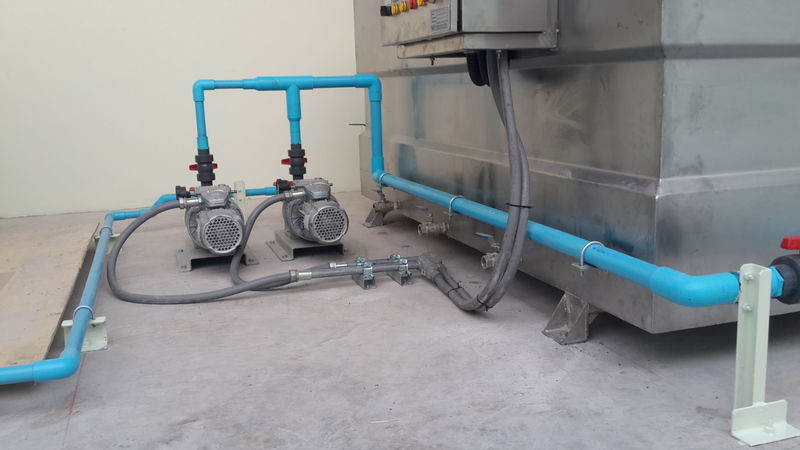 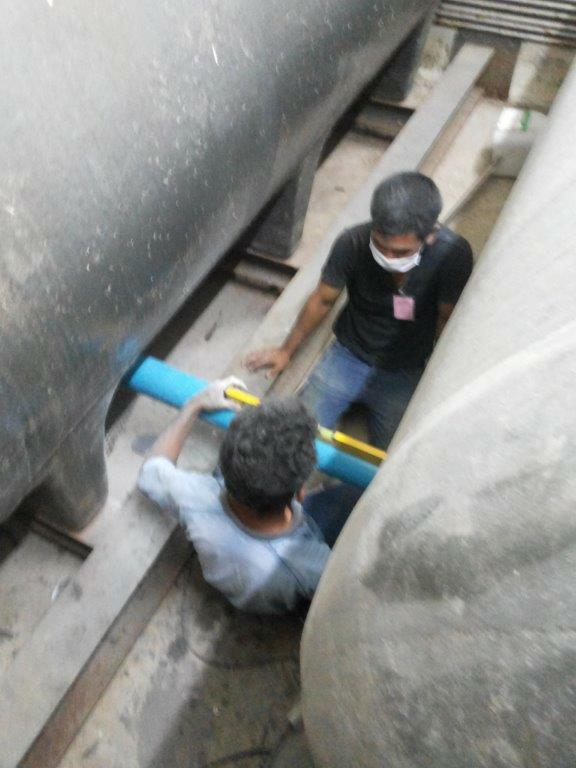 Technical : Silencer air blower be used for this work : easy for maintenance and operation Moreover, feeding enzyme metering pump + control panel also be used. 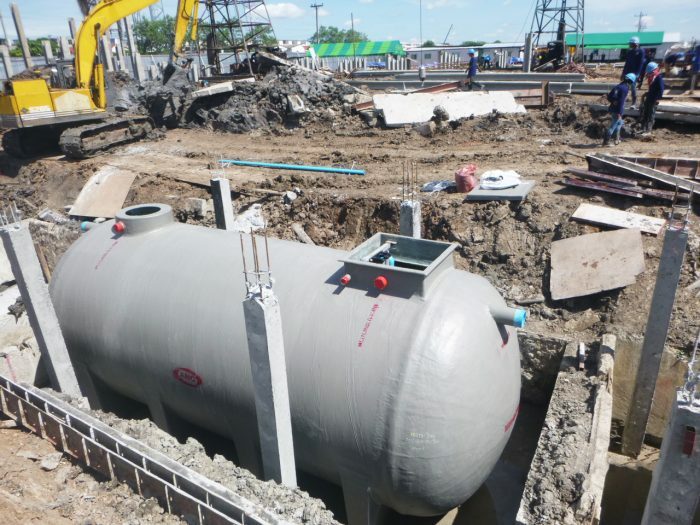 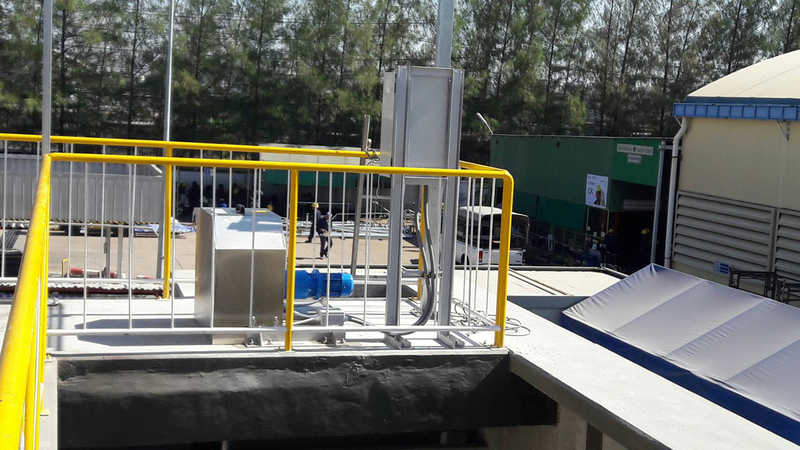 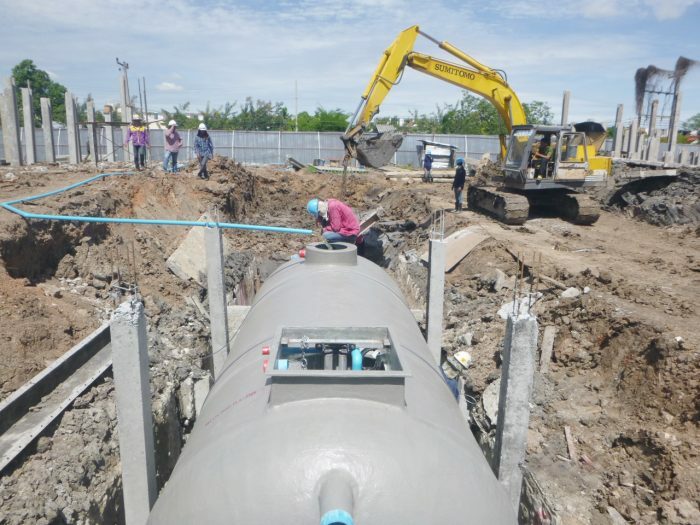 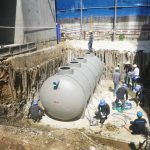 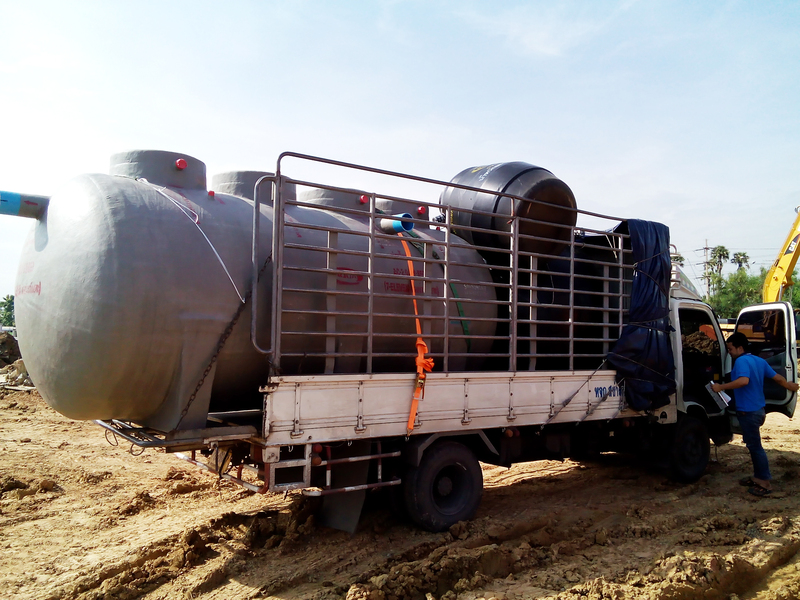 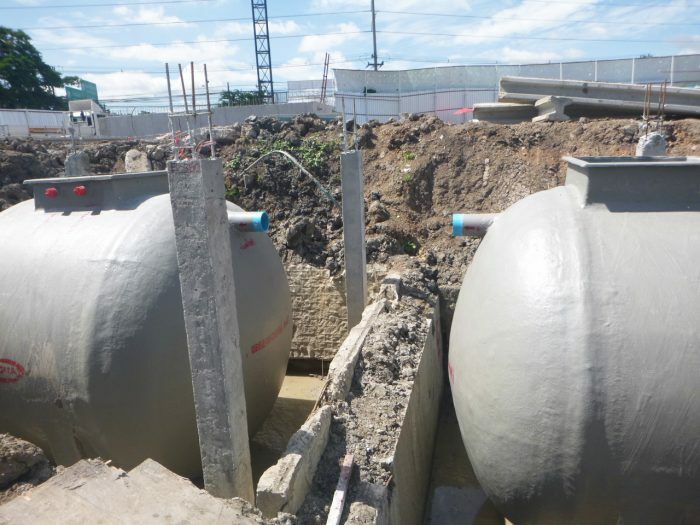 Project Description : Ready-made wastewater treatment tank for toilet, resident and restaurant which are ST-BF, NBF and AKZ depend on type and quantity of the wastewater. 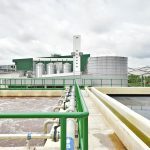 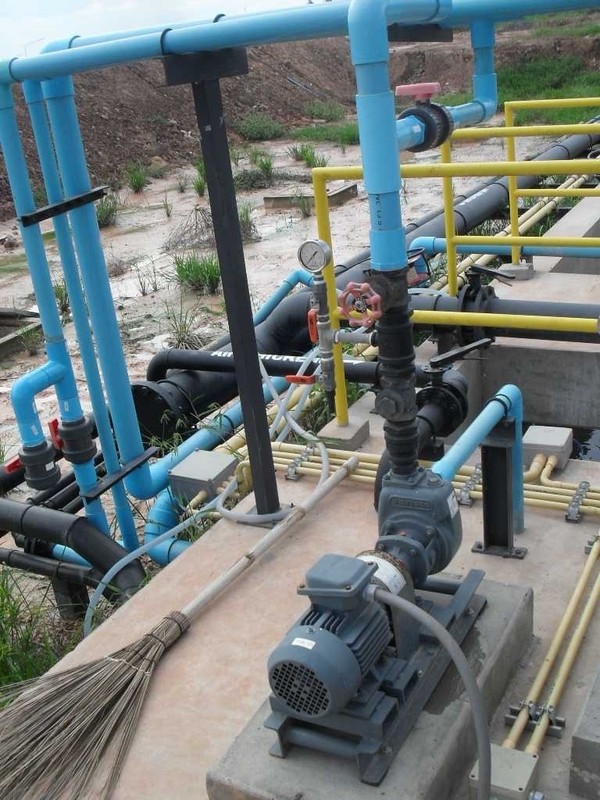 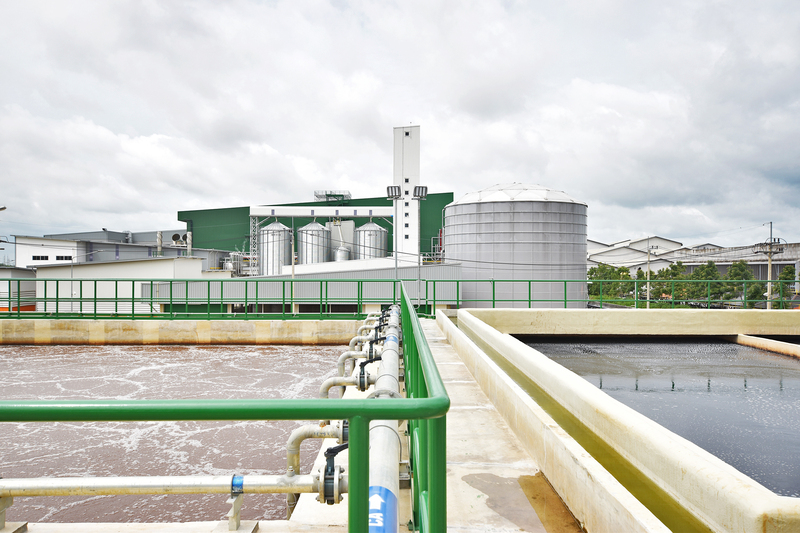 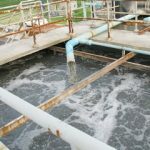 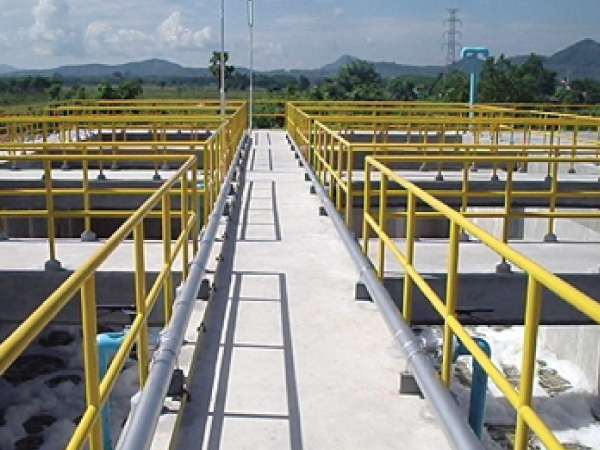 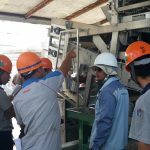 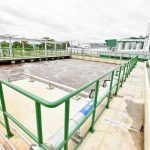 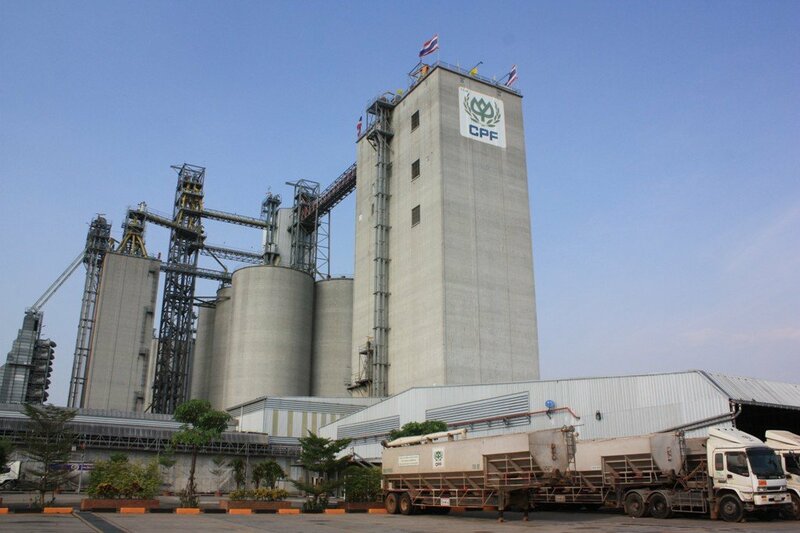 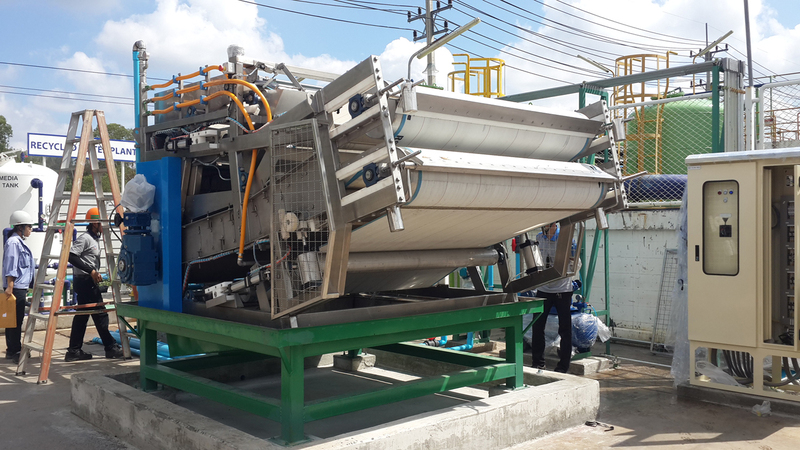 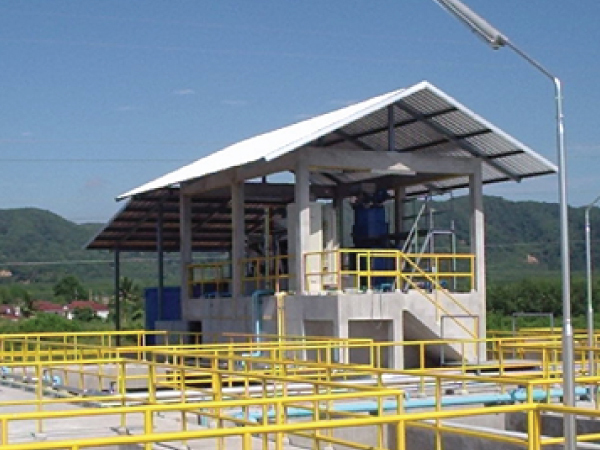 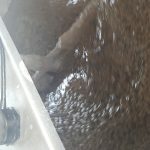 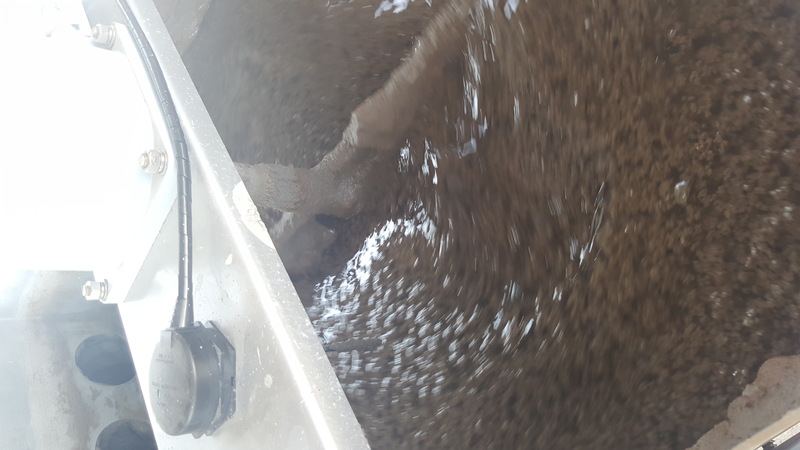 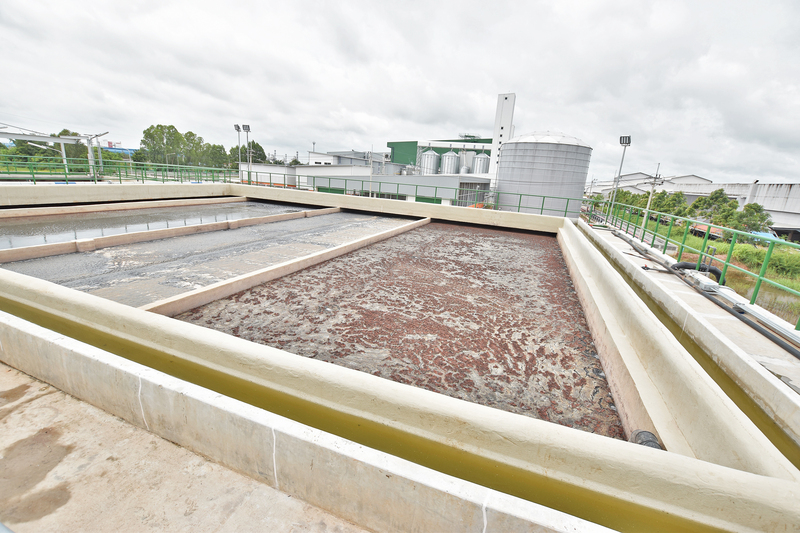 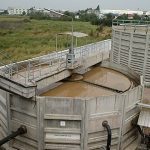 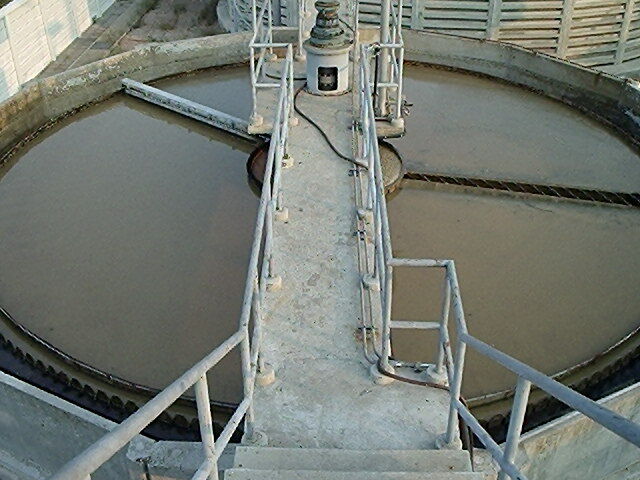 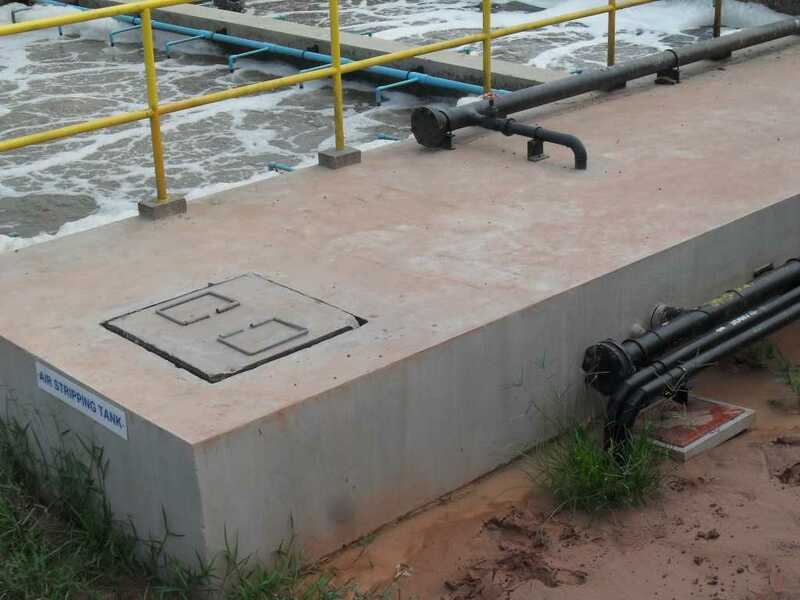 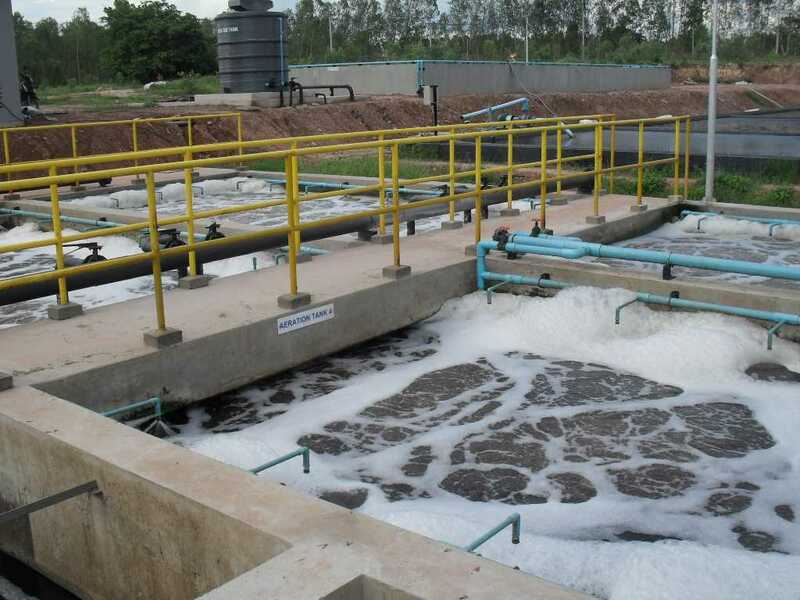 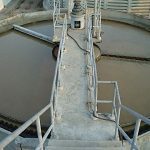 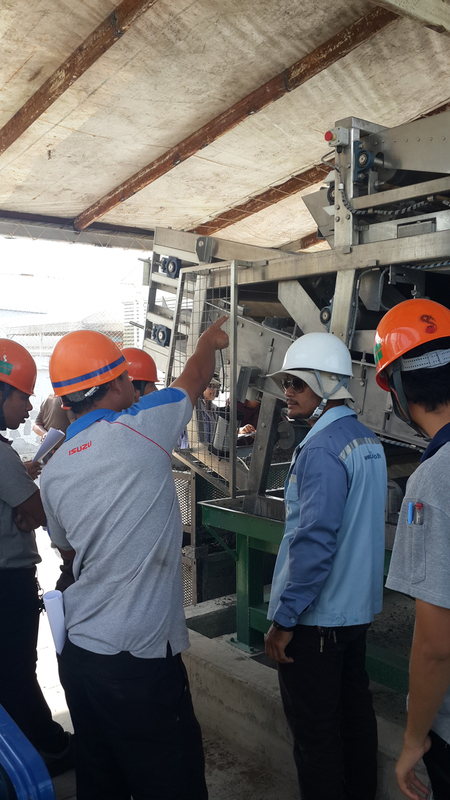 Technical : Activated sludge process which uses yeast co-operate with MBBR media. 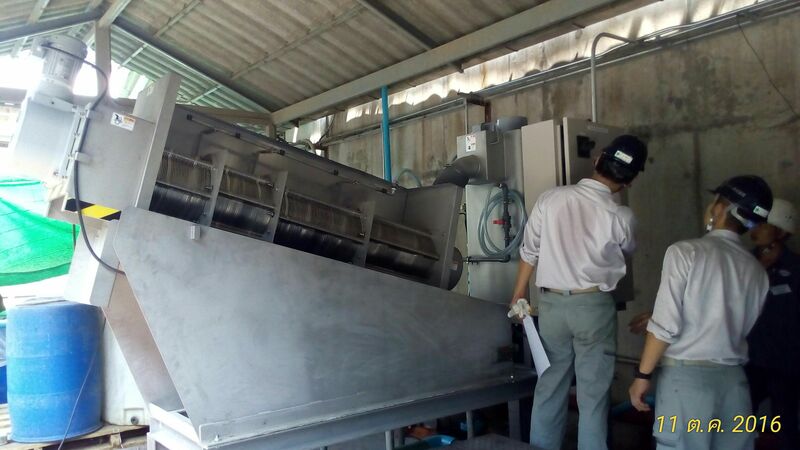 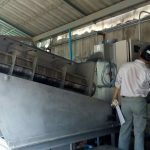 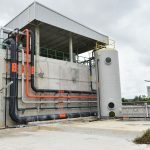 So, the system can treat an oily wastewater with high efficiency and stability also area saving. 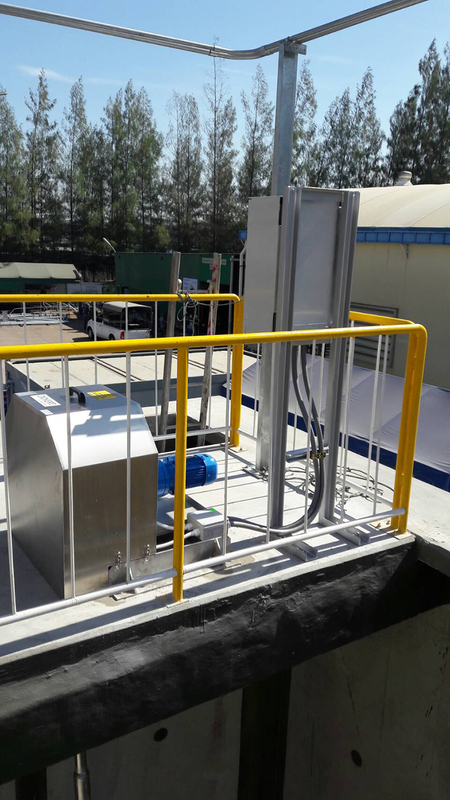 Project Description : Silencer air blower be used for this work : easy for maintenance and operation Moreover, feeding enzyme metering pump + control panel also be used. 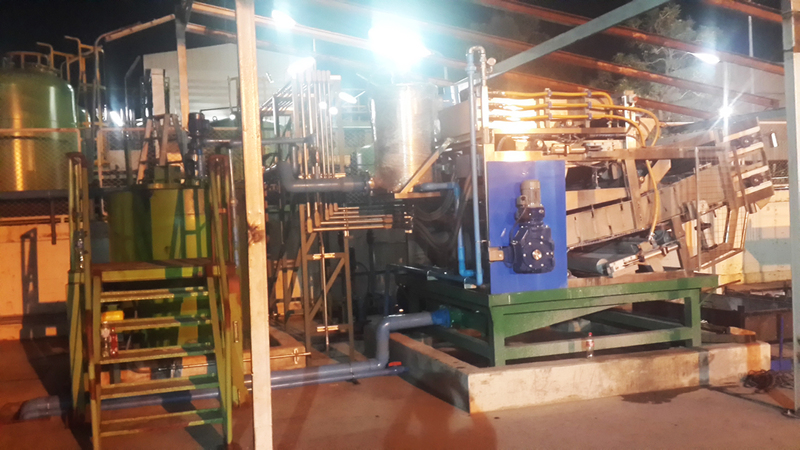 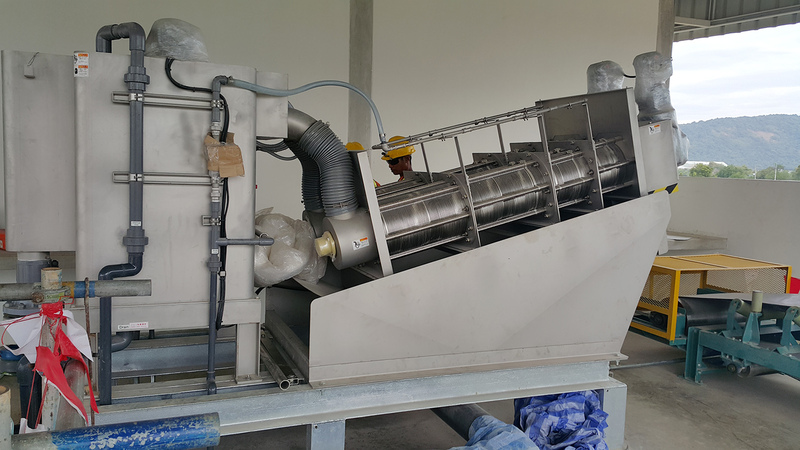 Project Description : Sell & Produce screw press size 150-300 kgDS/hr used for sludge thickener in DAF & Activated sludge process. 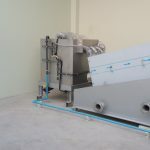 Project Description : Sell & Produce sludge scraper equipment and chemical feeding system of 500 m3/hr water supply plant. 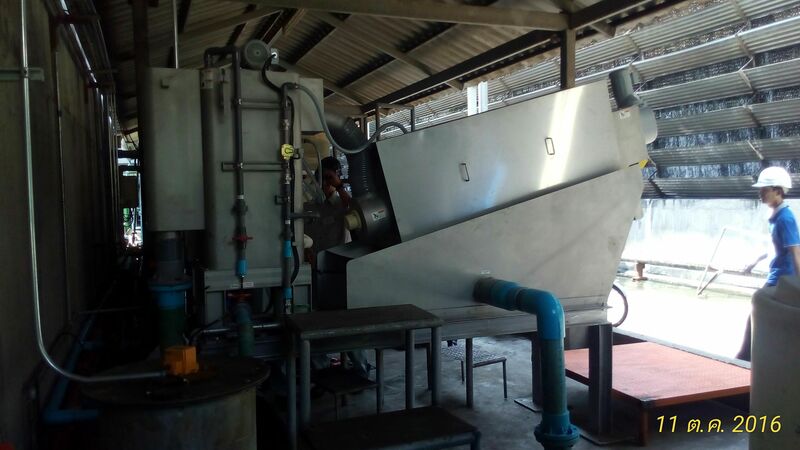 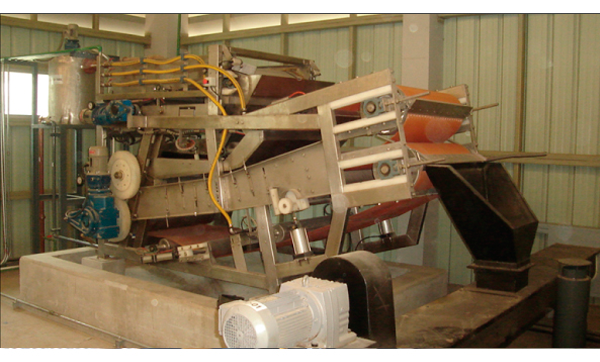 Project Description : Sell & Produce screw press size 15-30 kgDS/hr used for sludge thickener for Activated sludge process. 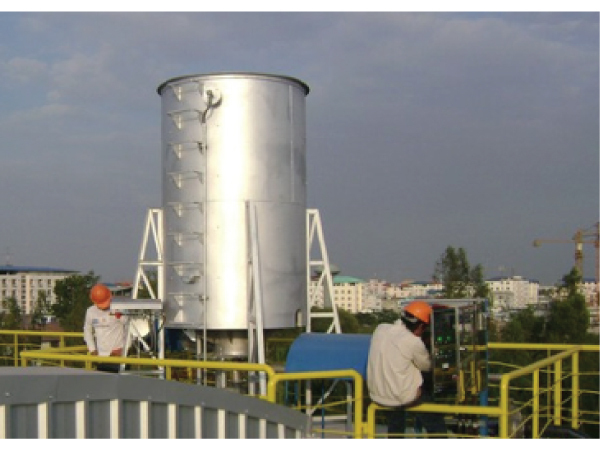 Featured : Effective grease digestion system by yeast system. 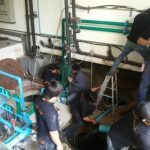 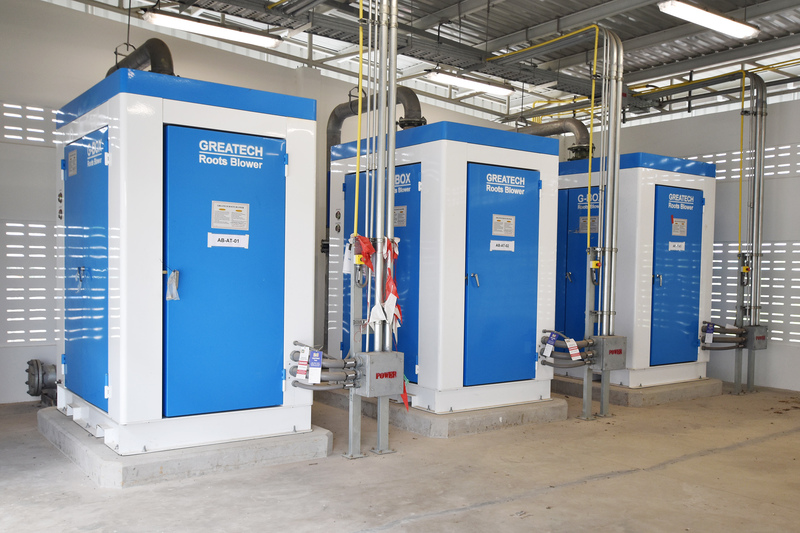 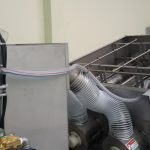 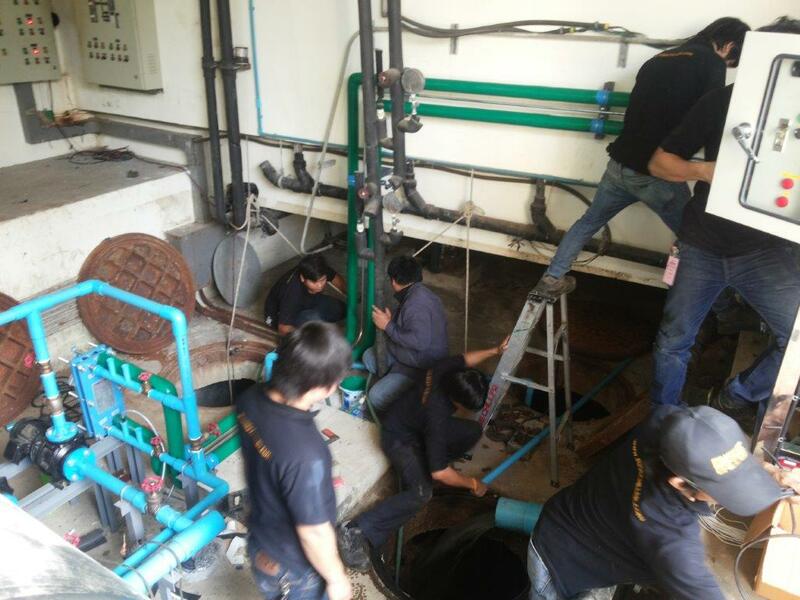 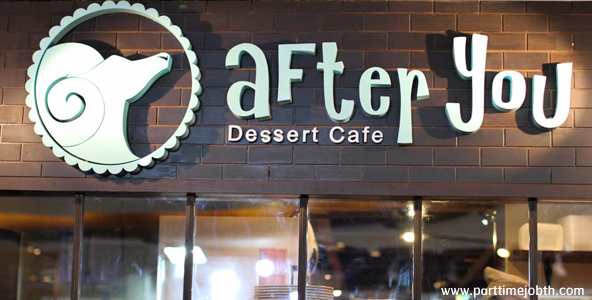 The system work without grease trap or grease digester. 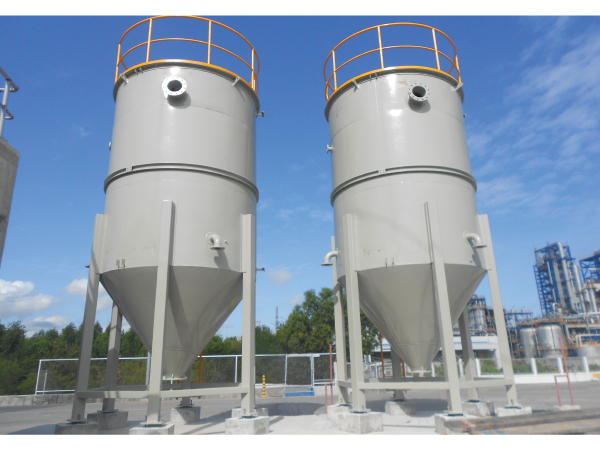 Technical : Specific yeast suitable for grease digestion with no impact for environment. 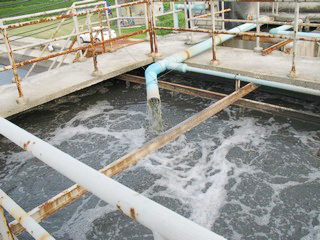 Project Description : Yeast system can reduce almost 90% of COD in the wastewater. 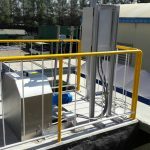 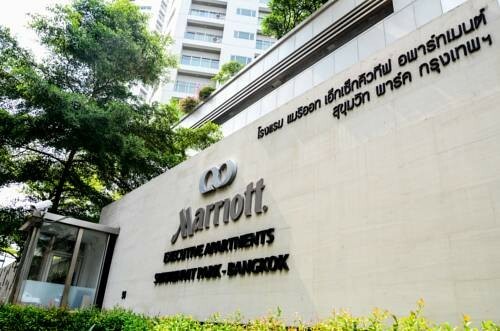 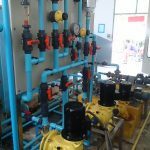 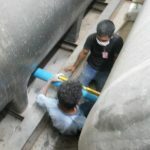 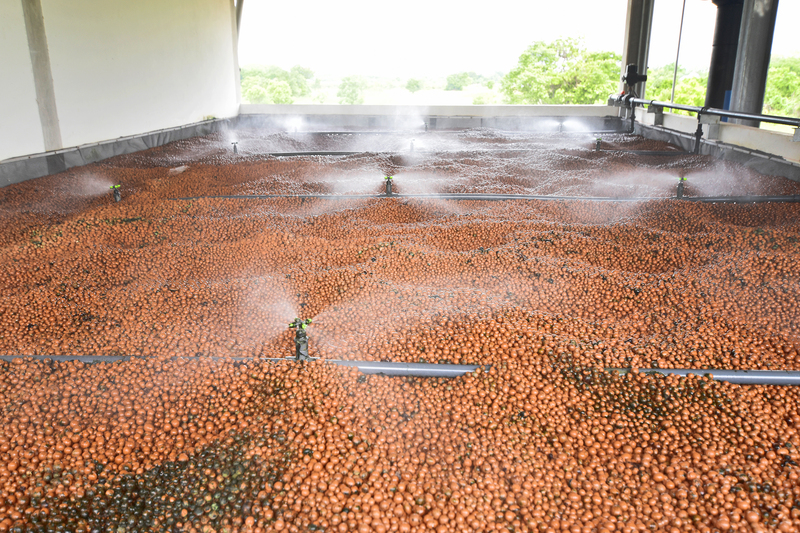 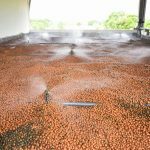 Moreover, the system no need chemical used so the operating cost will be low if compare with dissolved air floation (DAF). 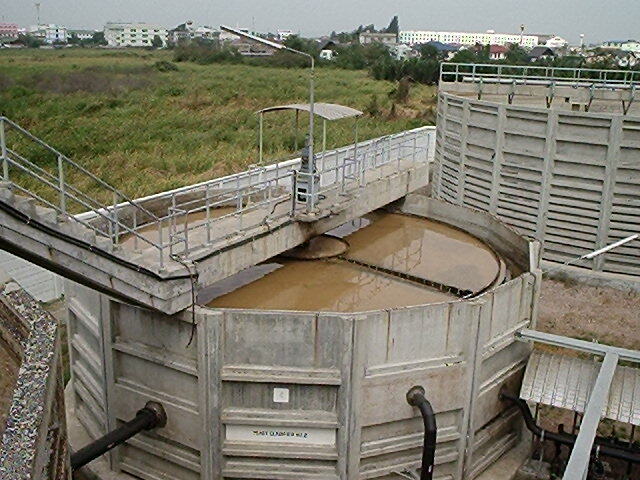 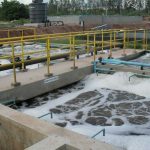 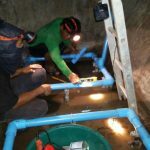 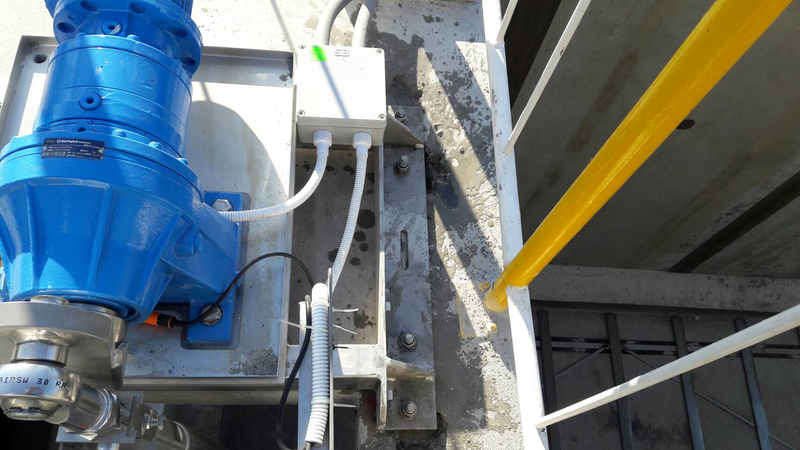 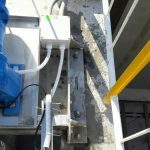 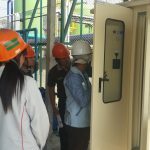 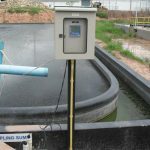 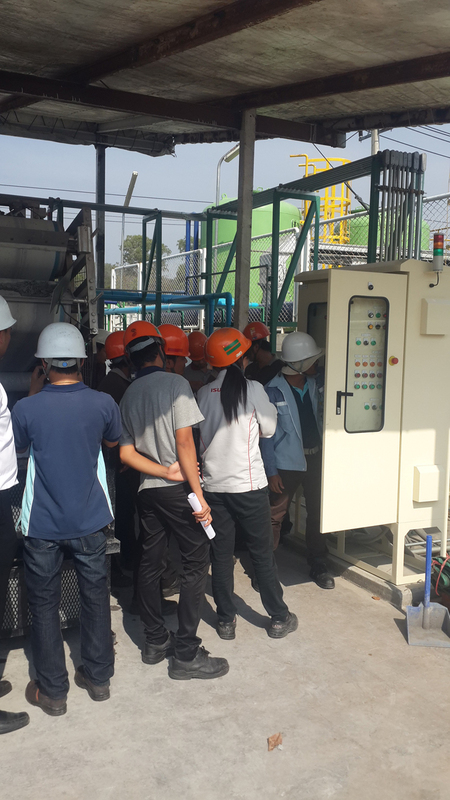 For IC process, is the one of easy operate system which can decrease the amount of TKN that contaminated in the wastewater. 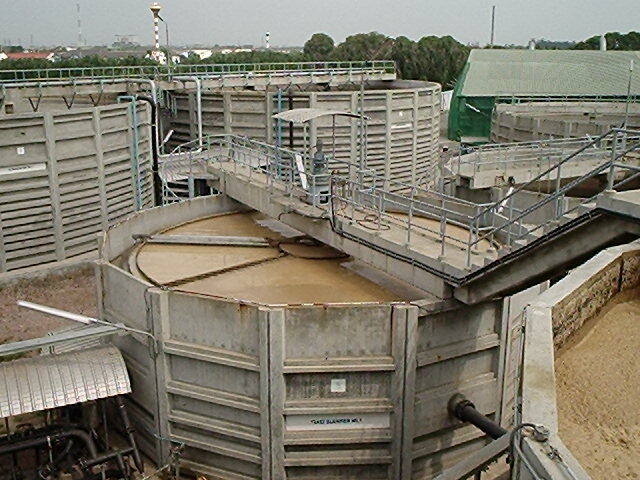 Furthermore, sludge bulking can be ignored and no need to return sludge. 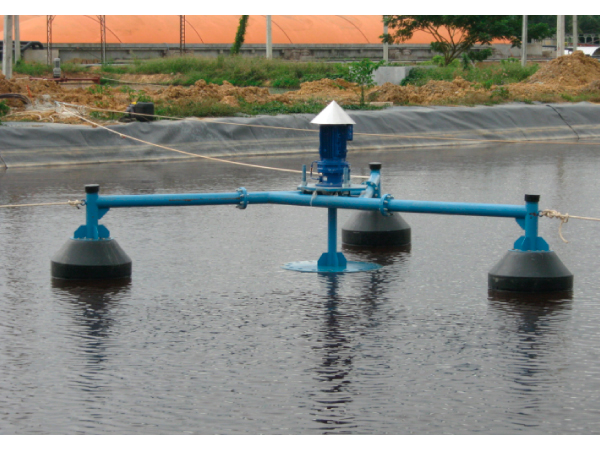 From in-house designs, ANC offers both low-speed vertical (floating and fixed) and horizontal surface aerators. 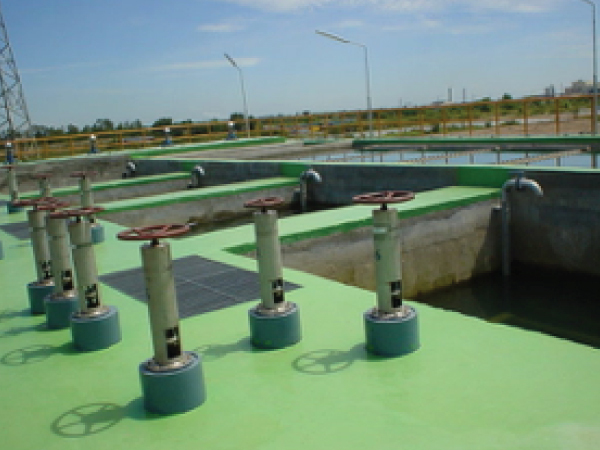 Such aerators have proved popular due to their competitive oxygen transfer efficiencies and trouble-free operation. 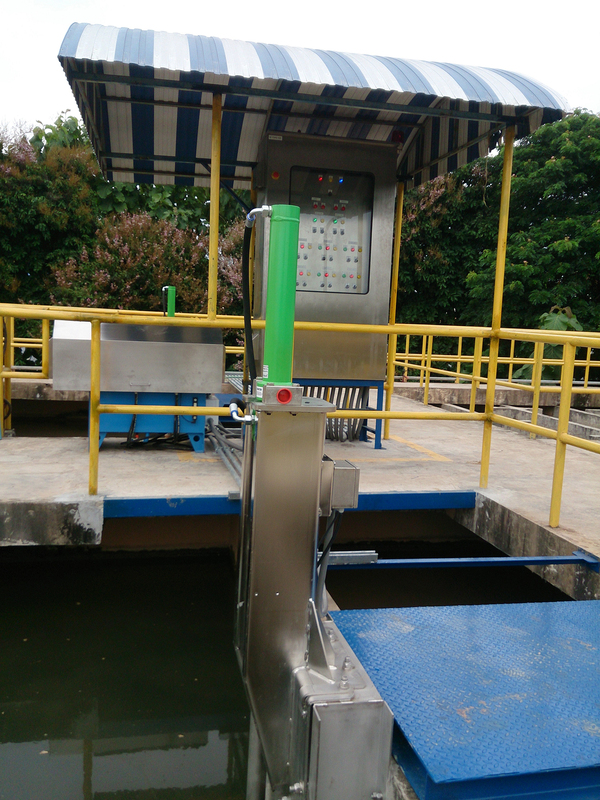 Special features such as enhanced pontoon buoyancy, variable immersion depth and heavy duty gearing systems are available. 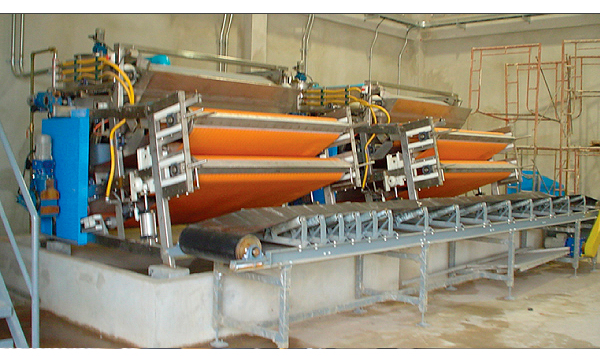 The Automatic bar screen is q unique mechanical bar screen that emplays the latest technology to efficiently remove solids from liquid channels. 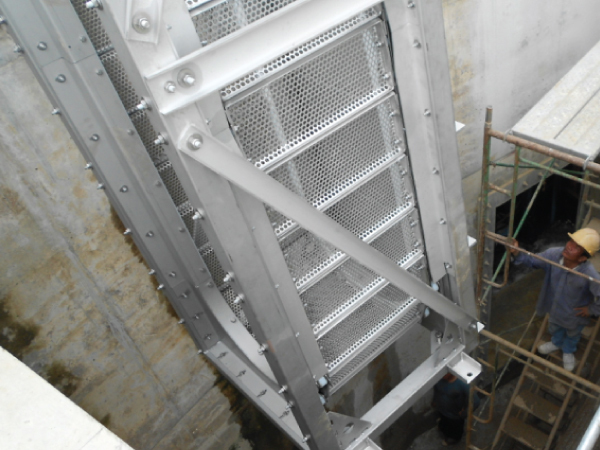 the unit’ design coordinates the motion of a raking arm, creating a smooth and versatile raking motion. 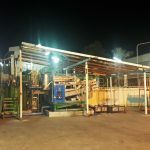 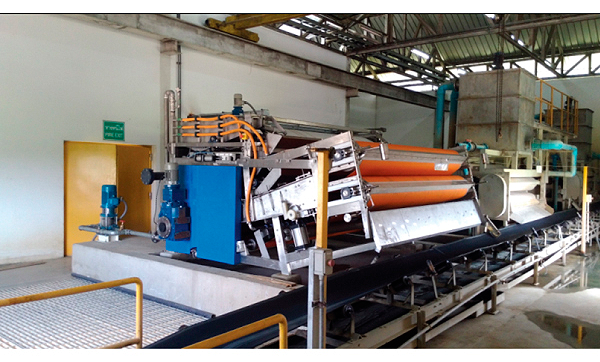 the Automatic bar screen improving plant operations and reducing cost and maintenance. 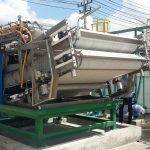 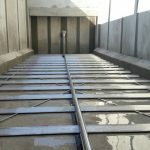 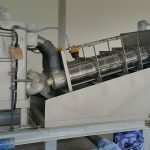 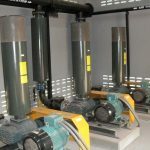 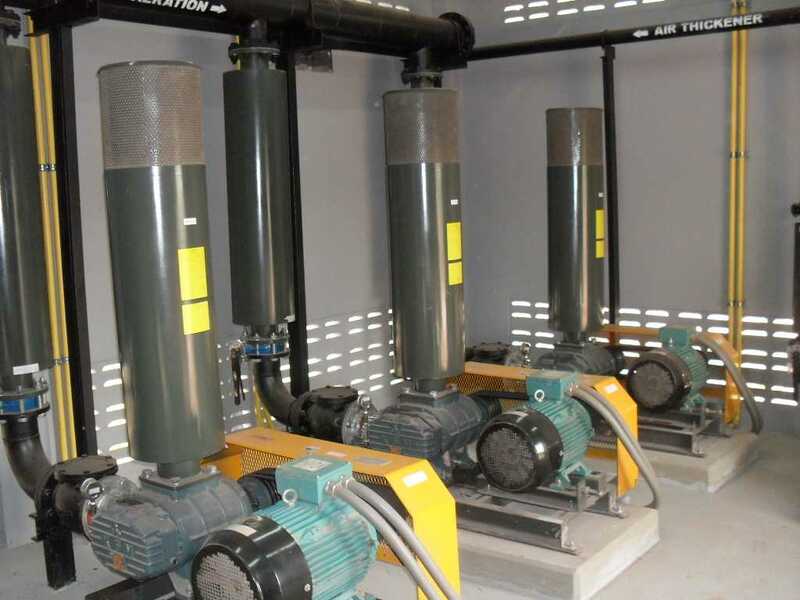 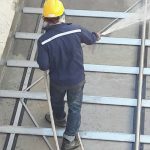 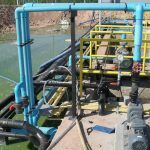 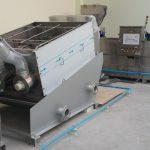 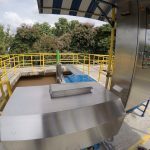 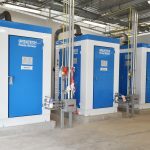 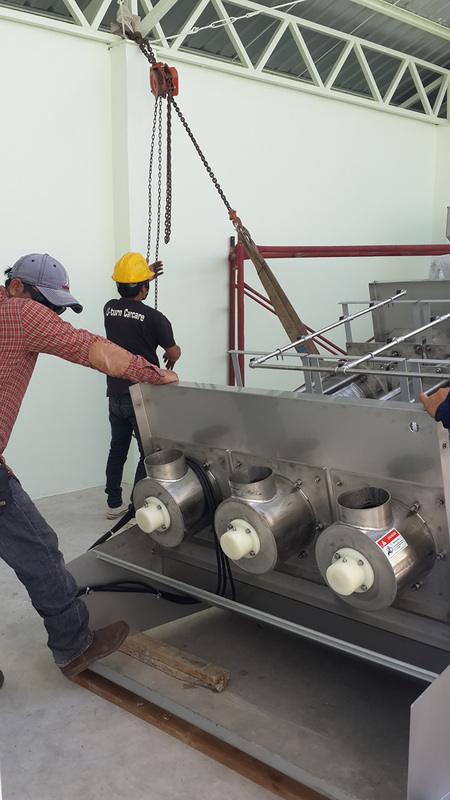 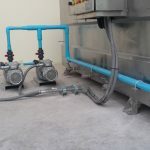 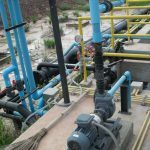 The unit can be installed in new or existing channels and can be configured with auxiliary lift conveyors, dewatering equipment and grinders to meet any requirement. 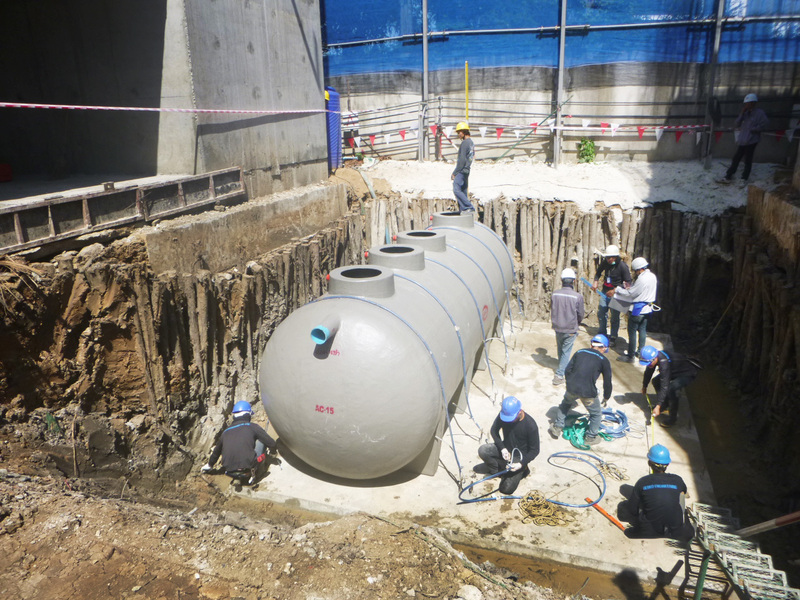 The Pioneer Water Tank is fully knocked-down tank with extraordinary appeal. 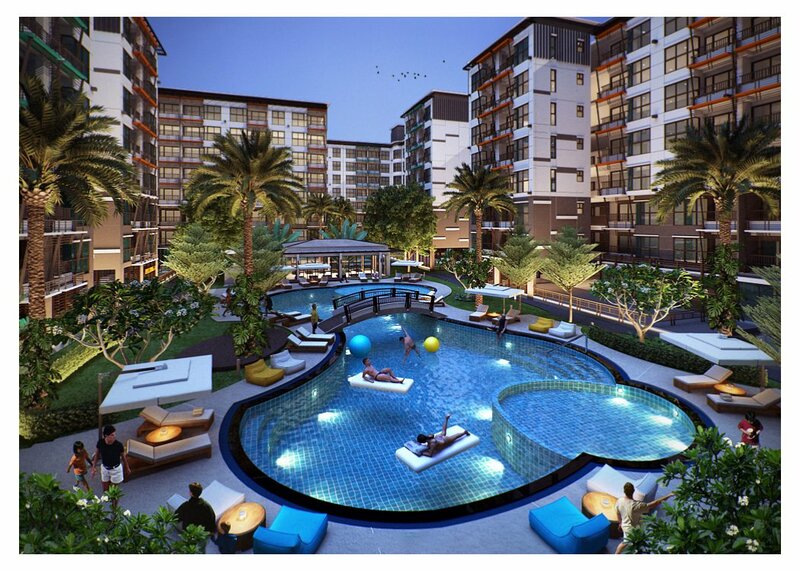 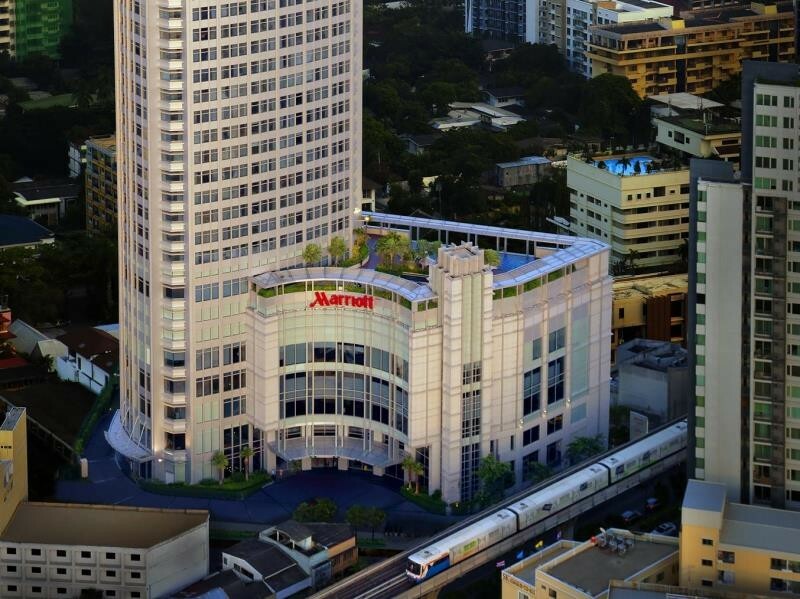 Smooth clean lines create a visually modern and up market appearance. 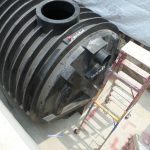 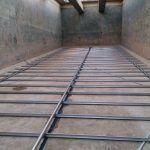 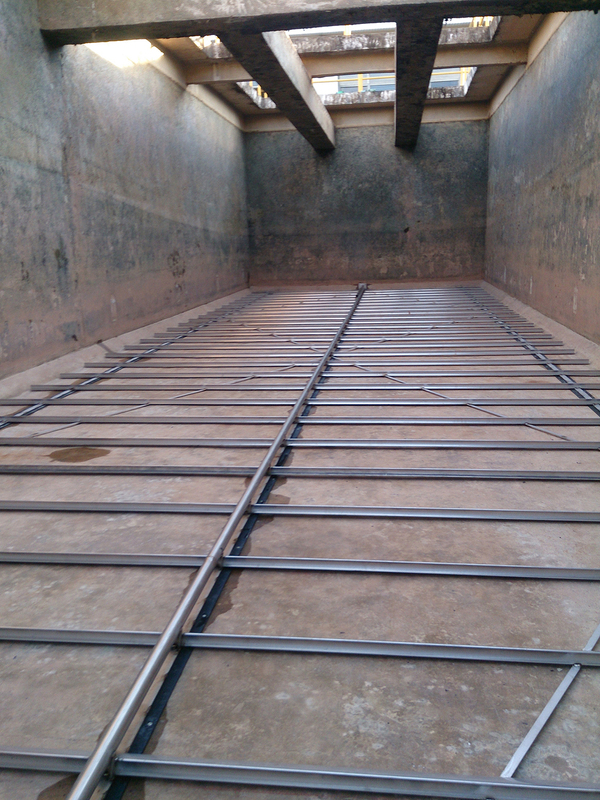 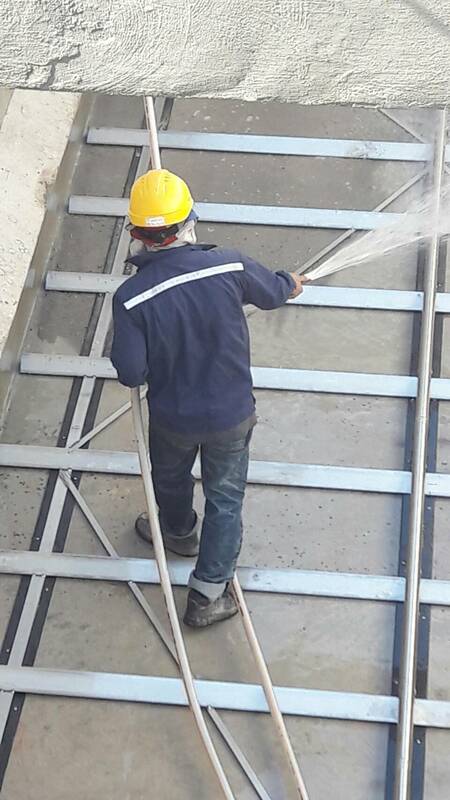 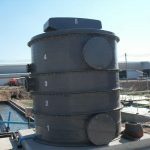 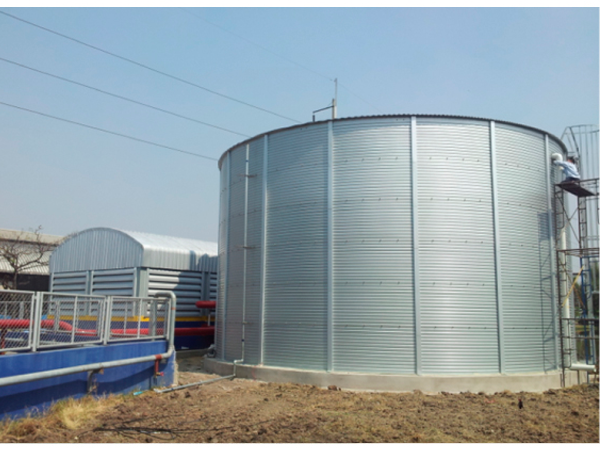 The structure of tank is made of the superior-quality metallic coated sheet, ZINCALUME Steel. 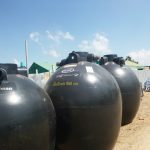 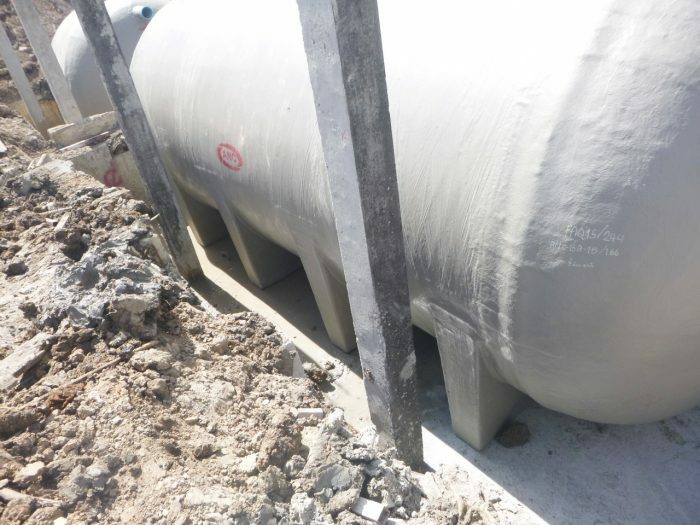 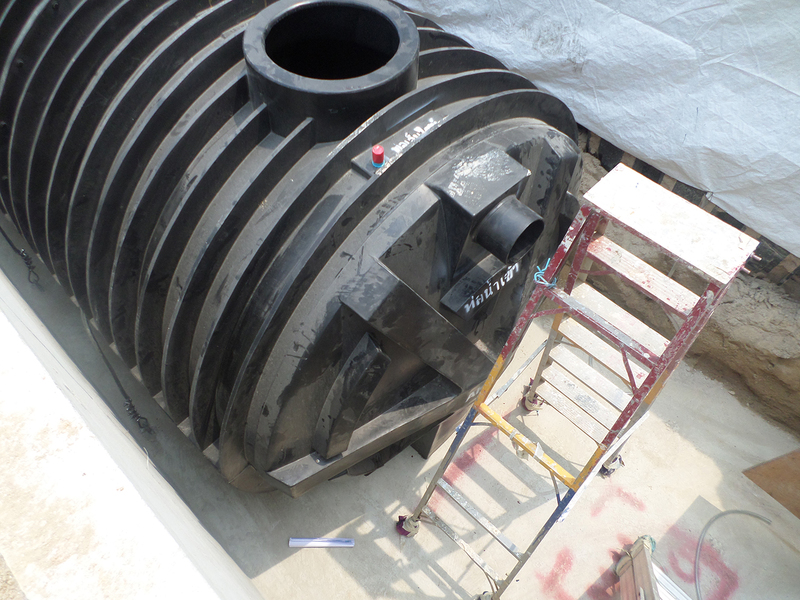 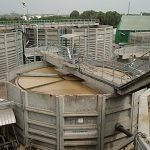 The inside of tank is lined by AQUALINER which made of tough four-layer permanently-bonded polyethylene with tough fiber reinforcing, and approved for the storage of drinking water AS4020 (Food Grade Material). 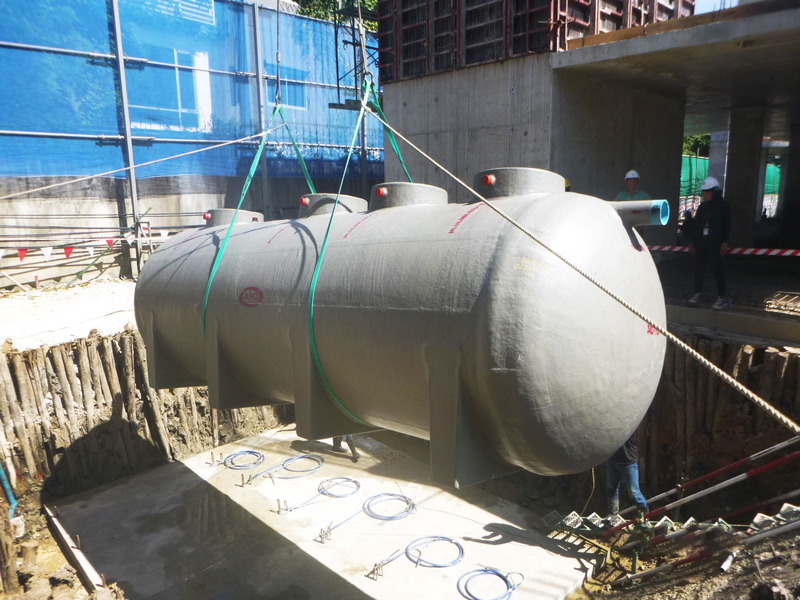 With perfabricated design, the tank can make relocation an ease, inexpensive exercise. 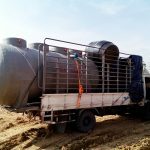 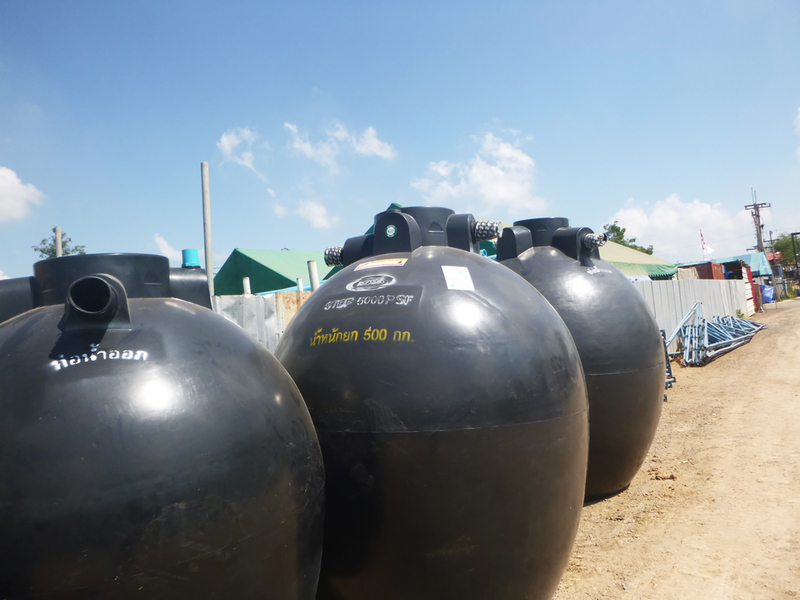 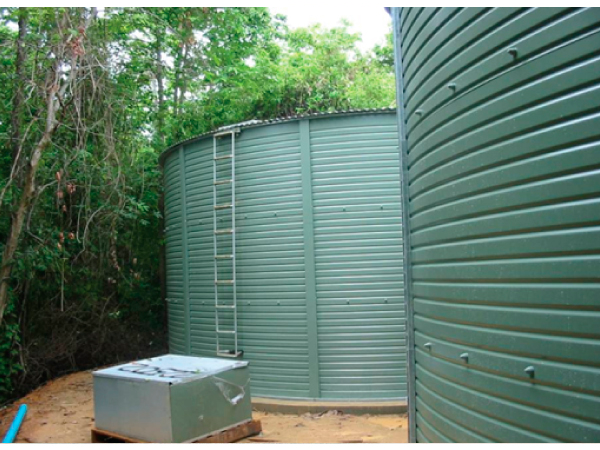 The sizes of Pioneer Water Tank are available 6 m3 up to 2,600 m3 with confidence that your tank is built to last. 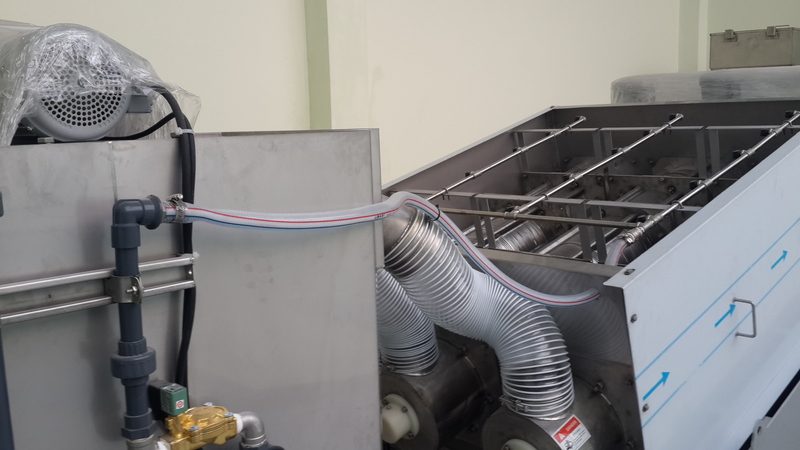 BELT FILTER PRESS from Finland represents the most sophisticated design on the market. 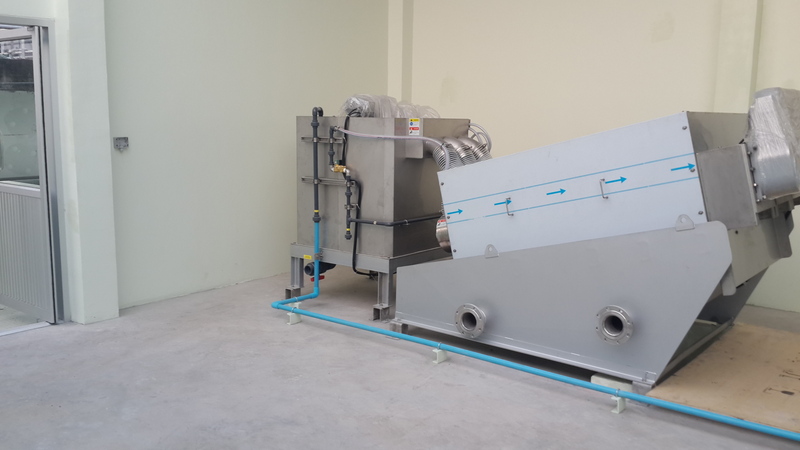 Suitable for a wide range of applications, both in terms of sludge type and quantity, the belt filter press offers a continuous sludge handing solution. 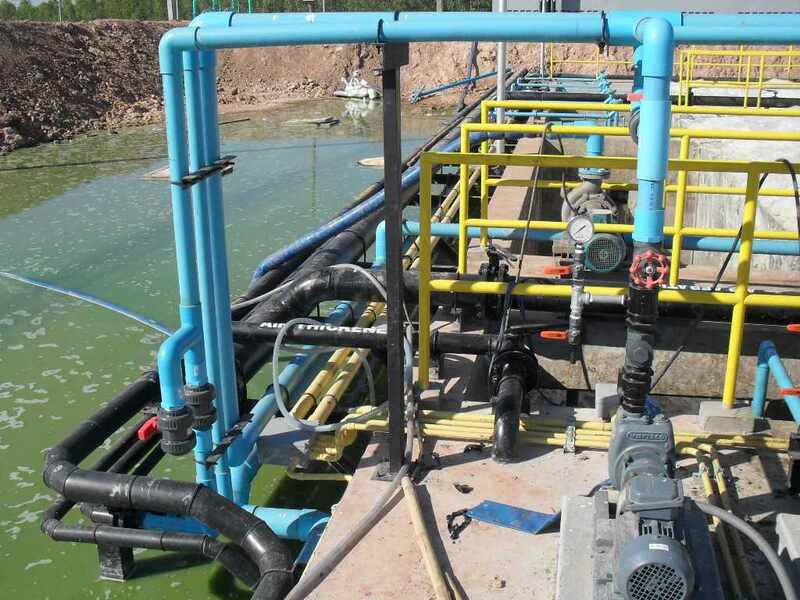 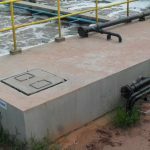 For difficult sludges, the PMP series includes an innovative table type pre-dewatering section. 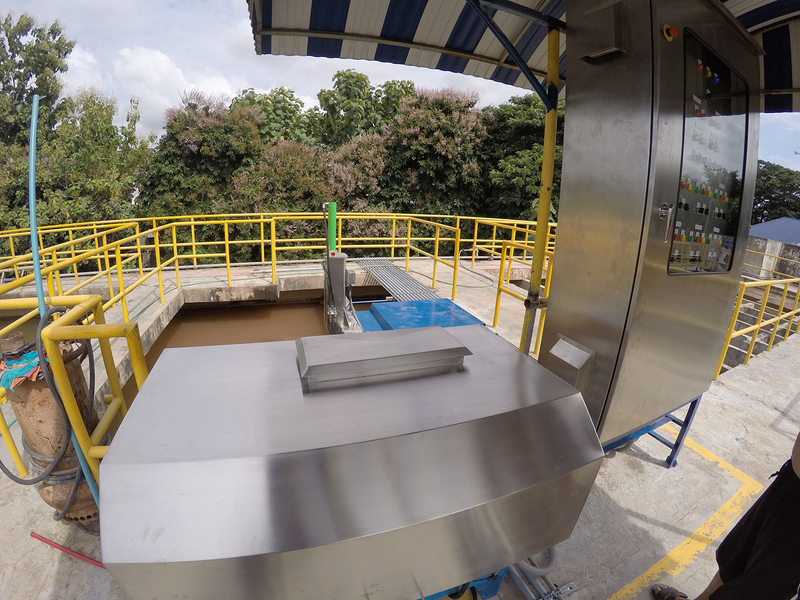 Process: Grease Digester, Activated Sludge.